Look up to the black menu bar at the top of my page. On the right, do you see Projects? If you select that, a drop down menu will appear and you will see The Canadian Food Experience Project. This is where you can find all of the information you need about this project. I was in grade 6 when Canada turned 100 years old. 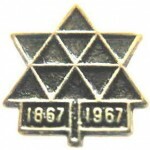 I loved my confederation pin and wore it out on my lapel. We all did. My tour of The Confederation Train was unforgettable: the first time most of us stepped onto a train. Senses keen. Multi-media madness at the time. My parents bought my sister and I a collection of The Confederation Coins (which they still have). “One little, two little, three Canadians, we love thee…”. Classrooms across the country chimed in. School children sang this song daily. Skipping home from school it resounded through neighbourhoods across the nation. There was a rapture in the air that year. We were not only a nation turning 100. We were a nation with a new-found independence. A new flag. A new pledge of allegiance. There was a euphoric passion inside of every heart within every person of the land that year. Delving into each of your posts this past week has revived that passion within. This is important work. This is an important project. Thank you each for bringing it to life as you have. I have fallen in love all over again. “Oh, Canada!” I say! The stories, the writing, the food and the people each of you have introduced me to have left me spell bound and intrinsically connected to each one of you. I can relate. I feel I understand. I have learned so much. Let’s honour our work by joining the conversation: comment on posts, tweet them out and about. 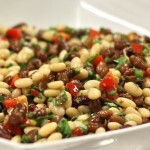 (#CanadianFood) Invite your friends to our Facebook Page. 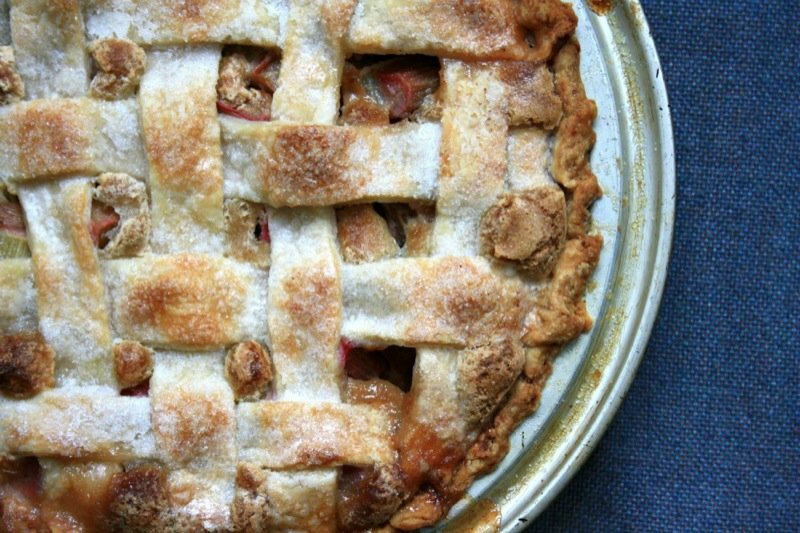 Back to the delectable rhubarb pie, above? I met Bridget waving a welcome when I arrived at the Pearson Airport in Toronto for the first Food Bloggers of Canada Conference in April of this year. I was already familiar with her Crosby Molasses website, and was looking forward to getting to know her better, which I was able to during that “blog altering” conference! Bridget lives in Rothesay, New Brunswick, and also writes at Bridget’s Green Kitchen where the tale of this pie is. Rhubarb pie must be a Canadian specialty coast to coast. 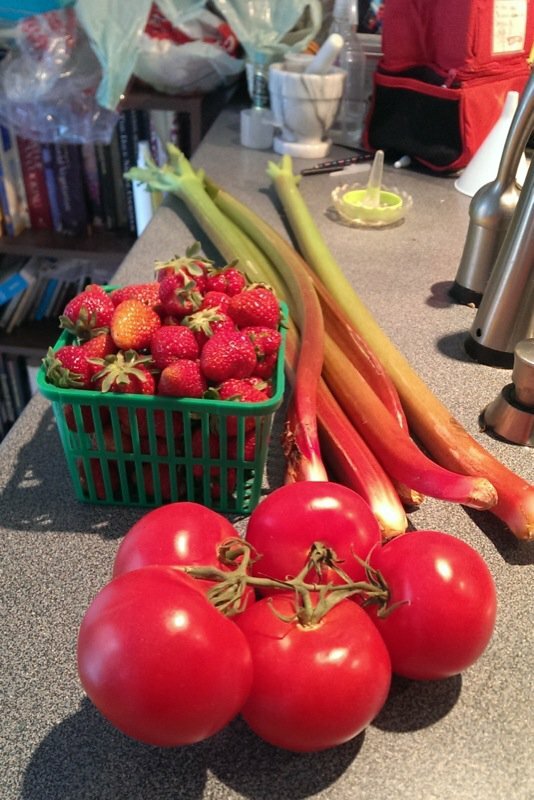 I like to claim anything made with rhubarb as “Prairie Food”, but I can see that is not the case. I chose an authentic first Canadian food experience inspired by Spring. 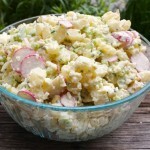 My mom’s potato salad is a family signature dish at the onset of the new season. There are others that I have written about over time. 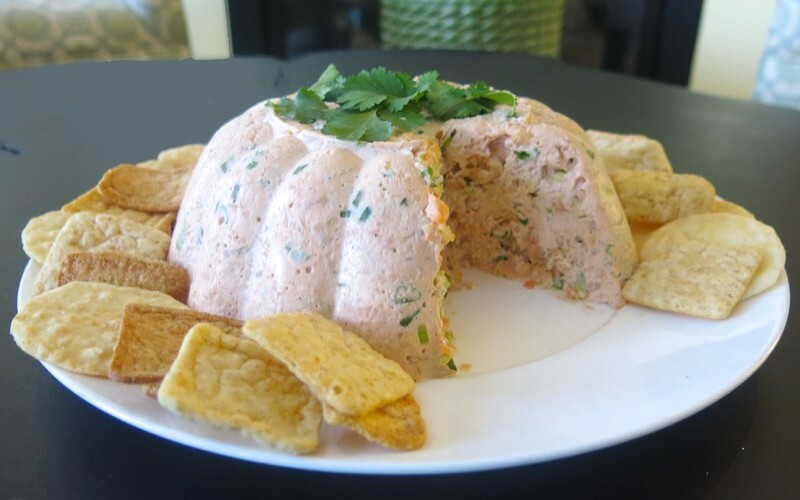 I chose this common prairie dish because we have all eaten a version of it from coast to coast, that is relatively similar from region to region. 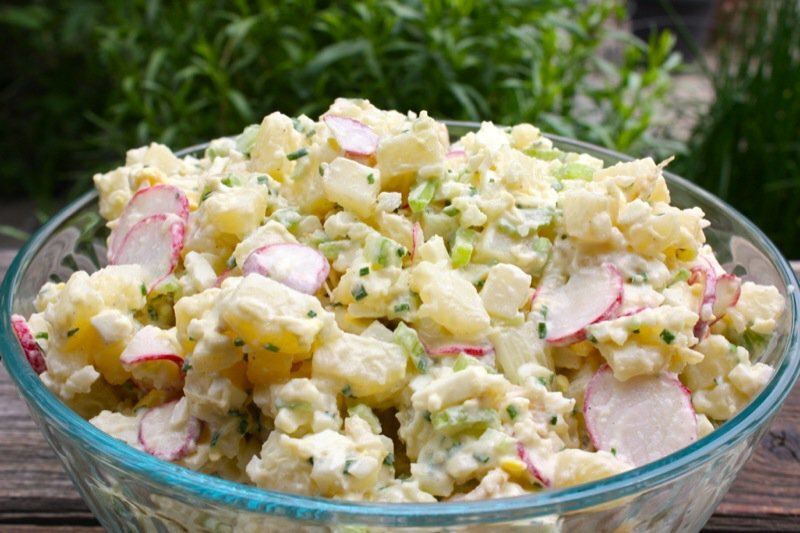 There are versions of potato salad that morph into radical variations in many parts of the world, so what are the common elements of a Canadian Potato Salad? Russian Salad is one of my favourite variations. 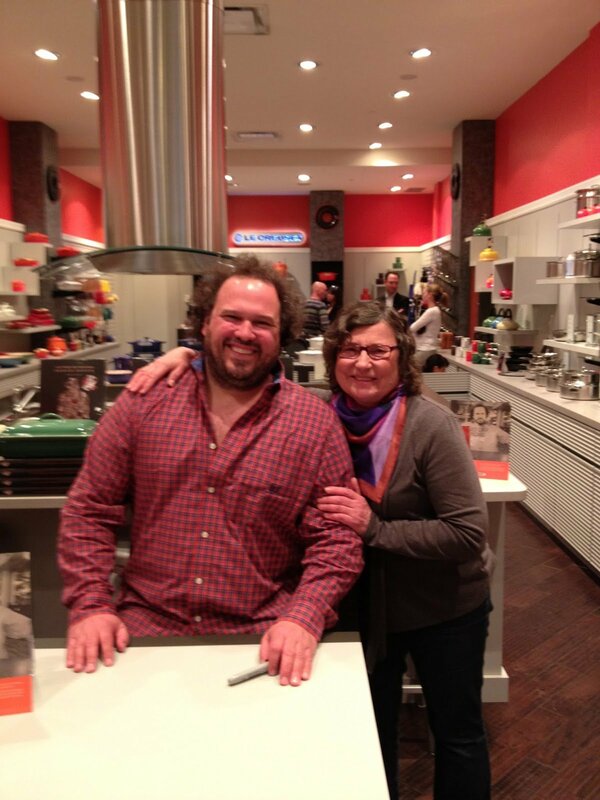 I met Shari last year at Eat Alberta. We had brief and bubbly conversation, then she went home and wrote a great article about the event that was published in a local magazine. Bravo, Shari! 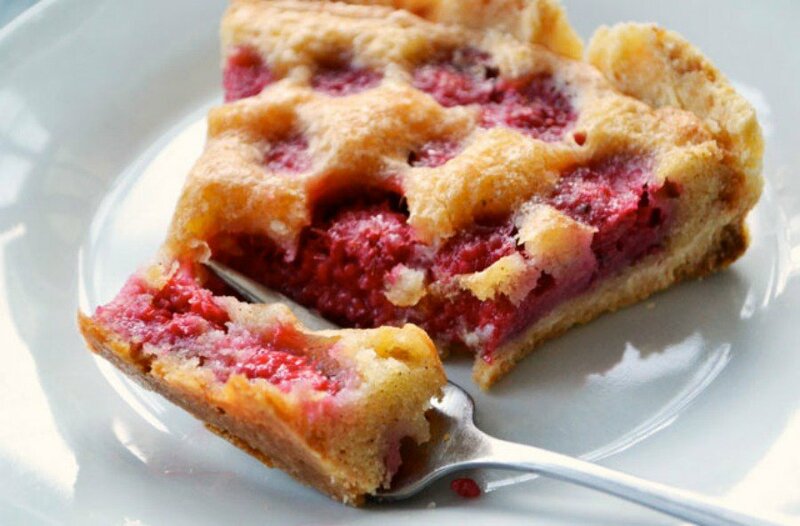 She writes at Tales From A Small Kitchen in Grande Prairie, Alberta,, and takes us with her through the Maritimes when she was young: a roadtrip in the car, introducing us to a Canadian food I must taste, and completely new to me: Rappie Pie! 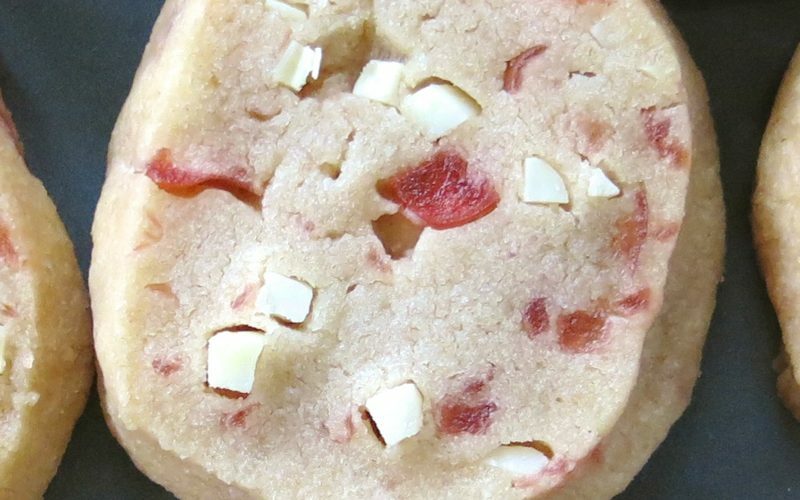 She has added post two to her site about Rappie Pie to answer the multitude of questions I have asked. It includes a link to the recipe she uses. I have read Sarah Galvan for years. She writes at All Our Fingers in the Pie in Swift Current, Saskatchewan, and I had the pleasure of meeting her in April at the Slow Food Canada Conference in Osooyos, British Columbia. Finally! Sarah’s bread looks exactly like the white bread my grandmother, my mother, and the neighbouring Hutterites use to make. I look forward to having my mother scrounge around for her old recipe, and to making both, myself. 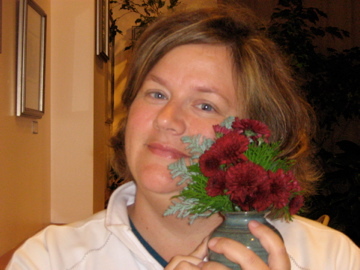 Liane Faulder is our local food writer at The Edmonton Journal. She also blogs at Eat My Words in Edmonton, Alberta. She and I shared her first authentic Canadian food experience. 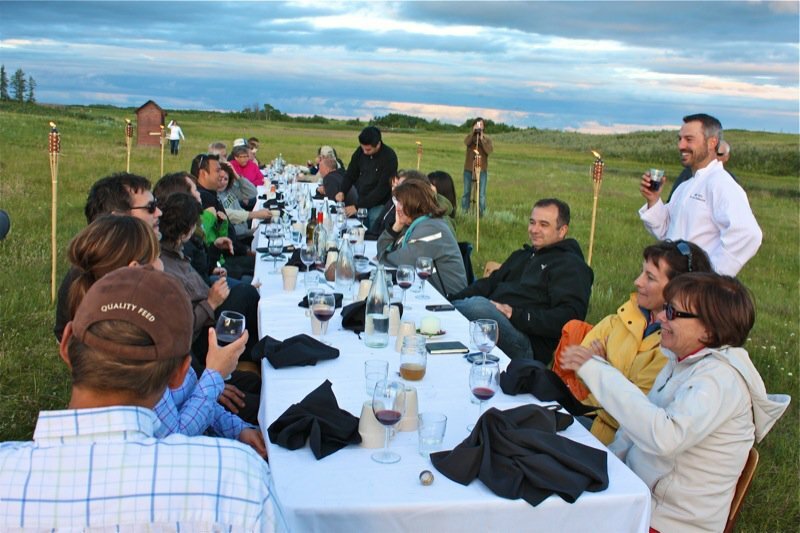 She writes about an Alberta Farm to Table dinner that defined our prairie terrior to a “T”. Liane has also published a book about a story very dear to her heart: The Long Walk Home: Paul Franklin’s Journey from Afghanistan. Liane writes for a living as do others within this project. I devour her wordsmithed Wednesday articles. 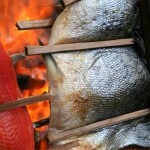 I would like to see greater participation with main stream food writers in this project. It is not an easy ask, but it is an important one. 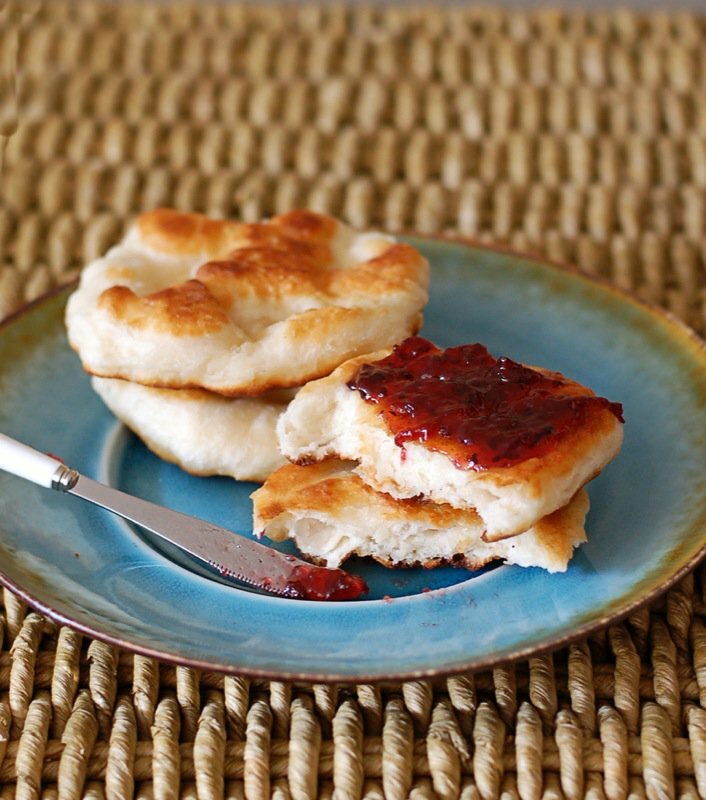 Nicole at Culinary Cool from Regina, Saskatchewan, offers an authentic recipe for Canadian Bannock coupled with her grade one memory of eating it for the first time. Another recipe on my list. Julie Van Rosendaal at Dinner with Julie from Calgary, Alberta, has invested herself completely into this project with all three of her on-line blogs participating. 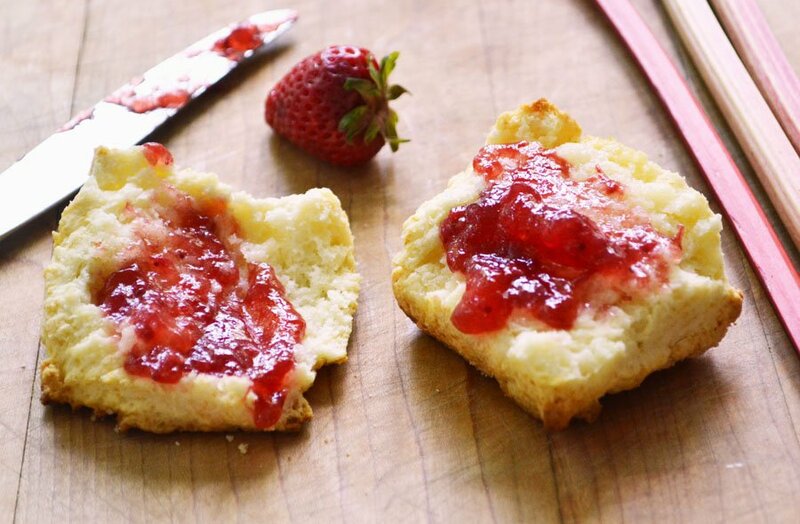 Above, she shares her incredible strawberry rhubarb jam recipe. Is it the season, or what? Below, Elizabeth Chourney-Booth shares a story about Anne Murray’s Cherry Cake on the newly launched site: Rolling Spoon that Elizabeth and Julie created: “this site is “a little bit kitchen, a little bit rock n’ roll.” Ya gotta stop by and sink into the connection between Canadian Food and Canadian Music plugged in at this site. 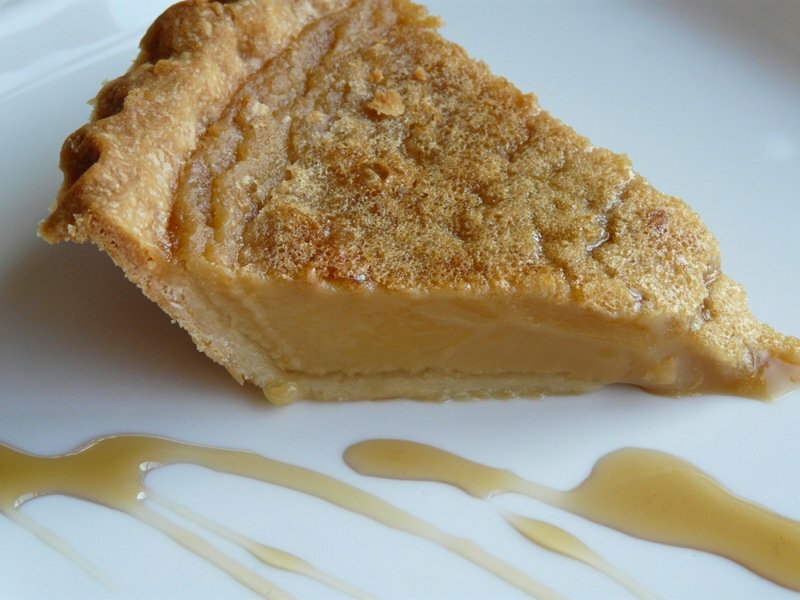 The never idle Julie Van Rosendaal also writes for Parents Canada Magazine from Calgary, Alberta, and has included a to-die-for-recipe for this Brown Butter Pie there. Usually, my raspberries have flowered and the fruit is in young green clusters at this time of year. Not this year. But I will wait. I look so forward to Raspberry Season. Julie has published several popular cookbooks. Her latest venture is with Jan Scott, also participating in this project, and will be out later this year. Charmian does not know me well. We met at the FBC2013 conference. Her sense of humor won me over at first crack. She writes the same way at The Messy Baker in Guelph, Ontario. Addictive humor. But, did she ring my number with her writing this challenge? Berry picking. Sweet red-all-the-way-through strawberries. Hot vinyl seats. And ice cream. Oh, my. She did not know that if I was on a deserted island with only one food to choose, it would be ice cream. 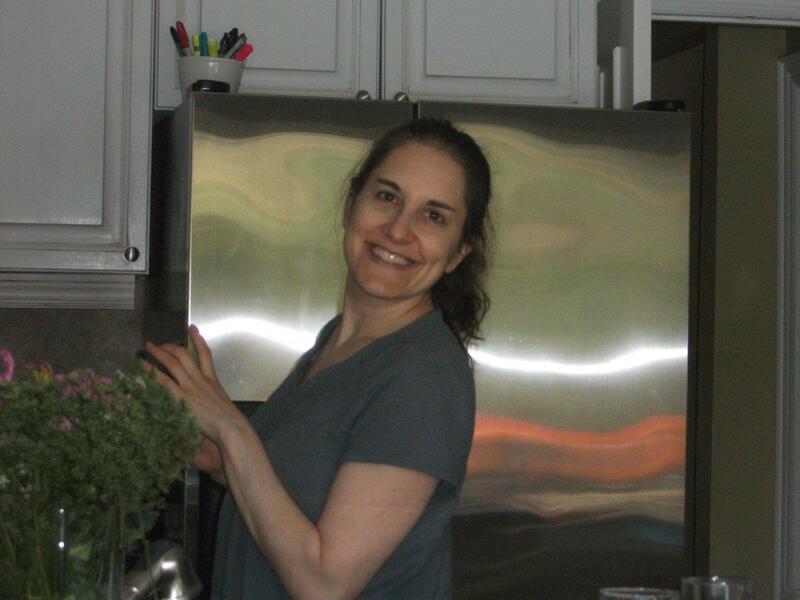 Charmian is publishing her first cookbook this year. Make sure you sign up for all the latest deets on when it will be out when you visit her site. Jennifer was raised in Timmins, Ontario; is living in Guelph, Ontario and writes at The best thing I ever ate…and then some. She is also the gal that has so kindly designed all of the badges for this project. If you haven’t seen them yet, they are in the project information, top right, under projects, remember? 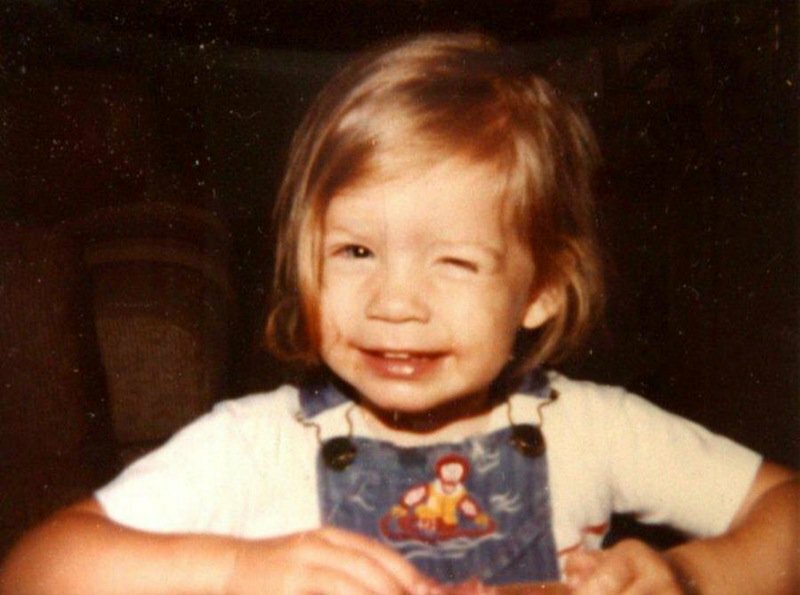 Jennifer enjoyed fishing as a child. I enjoyed fish. I am keenly interested in food stories from gals around the same age as my own girls as our experiences are vastly different, yet perspectives can be acutely aligned. Mimi has renamed her site. 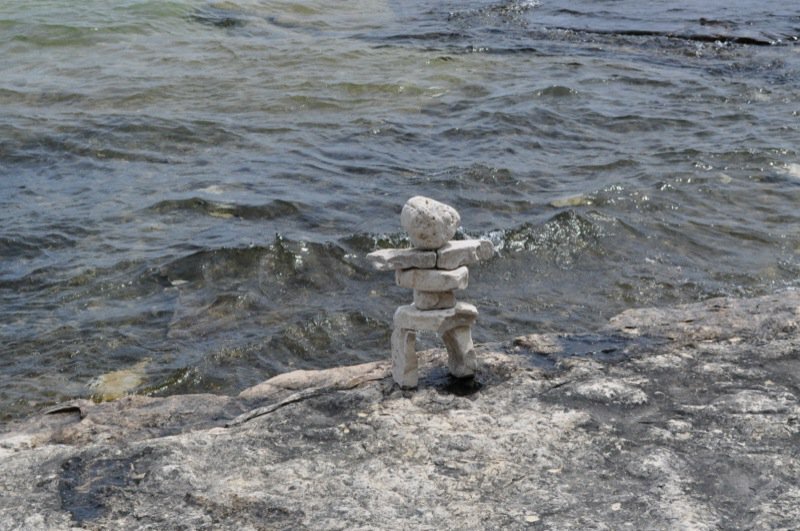 She writes at Tummy Grumblings, from Ajax, Ontario: the Durham Region. She begins: “I was born at the dawn of multiculturalism in [Canada].” relaying her Canadian food experience through her transition to this new world from Trinidad and Tobago. Interestingly, Rhonda also hails from the Caribbean and they write about some similar foods. 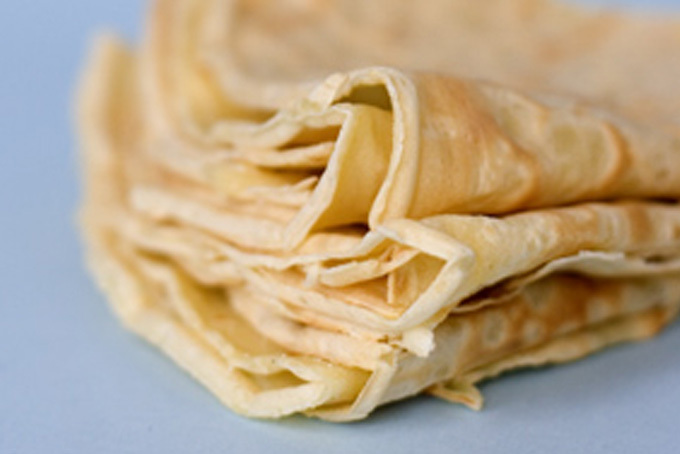 Cassandra Anderton at Good Life Vancouver from Vancouver, British Columbia, writes about crepes as her first authentic Canadian Food Experience. As an immigrant at four years of age from New Zealand, a large table sized “sweet” pancake was a very foreign concept and difficult to adjust to. Her recipe looks yummy. Karlynn Johnston is a gal pal of mine. Lucky me! Immensely enjoy her humor, company and family. Oddly, haven’t eaten that much of her food, nor she, mine. But, we do live across the city from one another and I have certainly drooled over more than a post or two. She is The Kitchen Magpie, for more reasons that she would care for me to share! She just won the prestigeous #YEGGIE award in 2013 (the first year) for the Best in Food local blogger in Edmonton, Alberta. Karlynn fishes, forages, cooks, bakes and gardens. She does it all… yes she does! 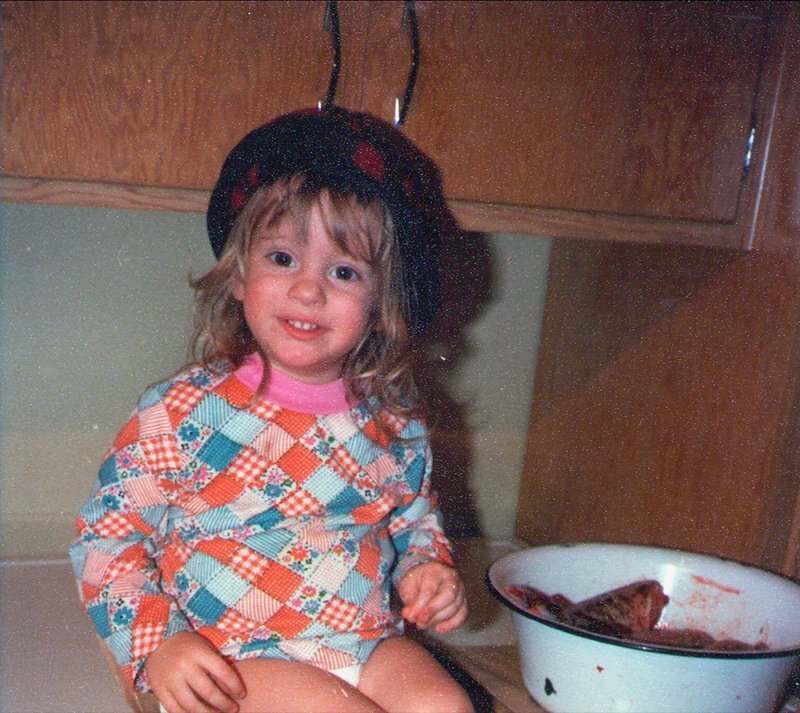 Today, she writes about fishing and you can see she has been doing it since she was knee high to a grasshopper, below. Freezer of white fish and I am still waiting for my dinner invitation. Does that little gal not melt your heart? Met Amy in the elevator at FBC2013. Who remembers meeting someone in the elevator? Moi. She was rooming with Sweet Sugar Bean whom I am still working on to participate in this project. Amy writes at Family Feedbag in Victoria, British Columbia, on Vancouver Island. She has worked as a professional writer and retells her first authentic Canadian food experience when thusly employed and I was mesmerized by the opportunity she had to be at an authentic aboriginal celebration with authentic food. 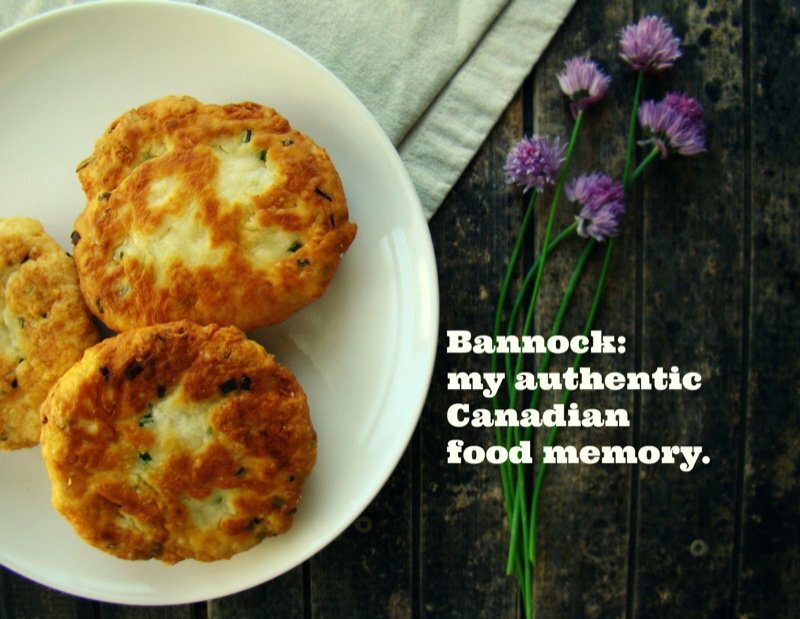 She has also provided an authentic bannock recipe. 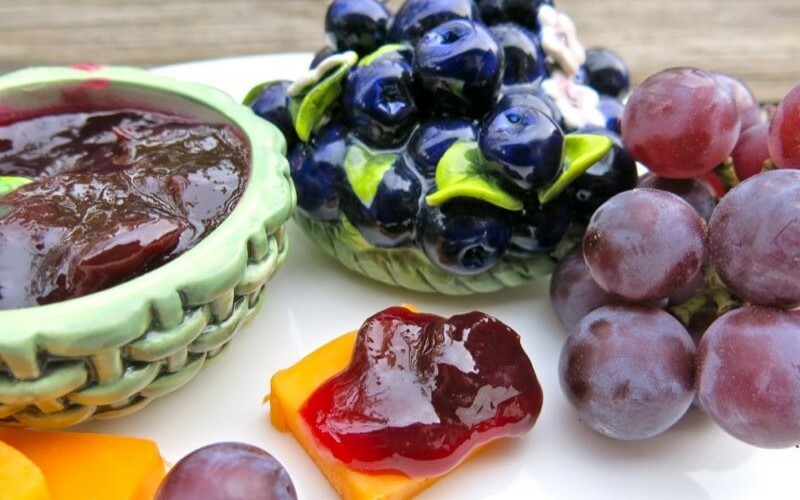 The Canadian Food Experience Project lacks aboriginal storytellers. Amy has connected me to some people on the island and I am working through a variety of connections as they come my way. Introductions appreciated. We are so fortunate to have Kathryne at Food Musings from Winnipeg and Lester Beach, Manitoba, participating in this project as she will “flavour” future posts with her Metis food heritage. Currently, she is our lone Manitoba participant, as well. Corn. Can we all relate? Not just animal feed in this part of the world. 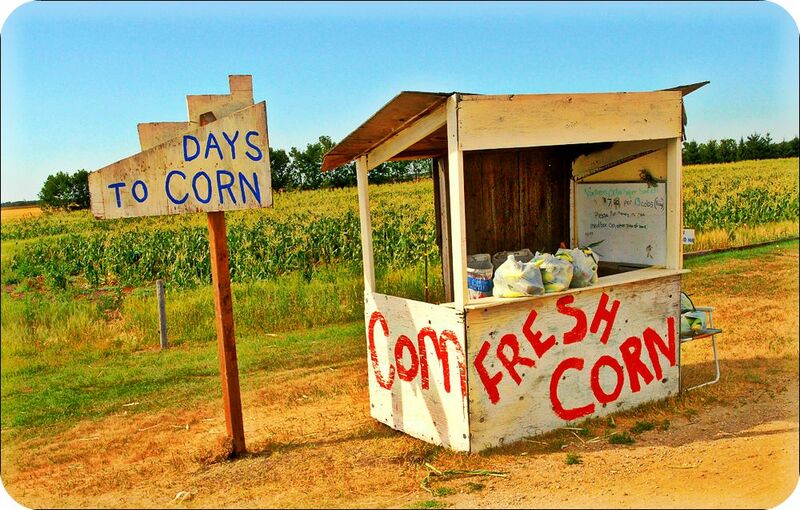 Stop by for a good read about Morden Corn, a specialty in Kathryn’s neck of the woods. Her sister is writing a cookbook, and the family blueberry pie recipe is also included. Sarah at Yogi in Action is one of the few local participants from Edmonton, Alberta whom I have not met. She is originally from Saskatoon, Saskatchewan, which is where her first authentic Canadian food experience takes place and it unlocked a flood of memories of my own: Chokecherry Syrup. Need I say more? If you live in Canada, and have never tasted this, you must. 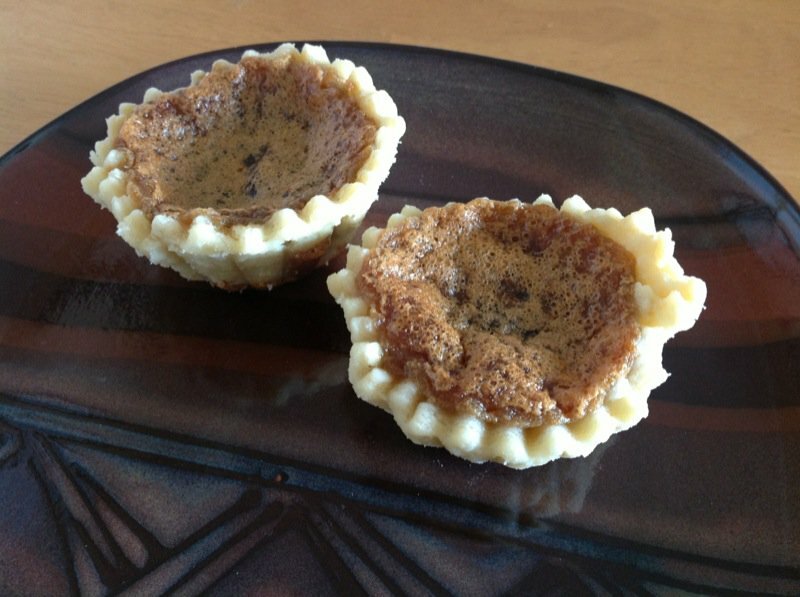 Who doesn’t love a butter tart? Well, Rosemary at Quench Magazine from Brampton, Ontario, didn’t until she tinkered a bit with the old tried and true recipes. What she discovered is a new, mouthwatering, family favourite. Carole at the The Yum Yum Factor in Toronto, Ontario, created this incredible pot of home food, below. She grew up in London, Ontario, but draws from her regional food experiences in Quebec for this post. She does not include a recipe. I begged. I read about her Quebecois delicacies until I frothed at the mouth. I must have home recipes for each of these dishes. I am on a quest and she has promised to try to find an authentic fèves au lard (baked bean) recipe to share with us all. I met and fell in love with Heather Lang from Toronto, Ontario, in the same minute at the FBC2013 Conference in April. She writes at The Tasty Gardener and on a trip up to Tobermory and Flower Pot Island she tasted her first ever Beaver Tail. Me? I imagined a beaver tail to be a beaver tail. I saw a documentary where Chef Michael Smith visited the Northern Territories for a celebration dinner and actually tasted the real thing. He did not like it. At all. I still wanted to be there, smell it, taste it, and learn about the food heritage at that event. 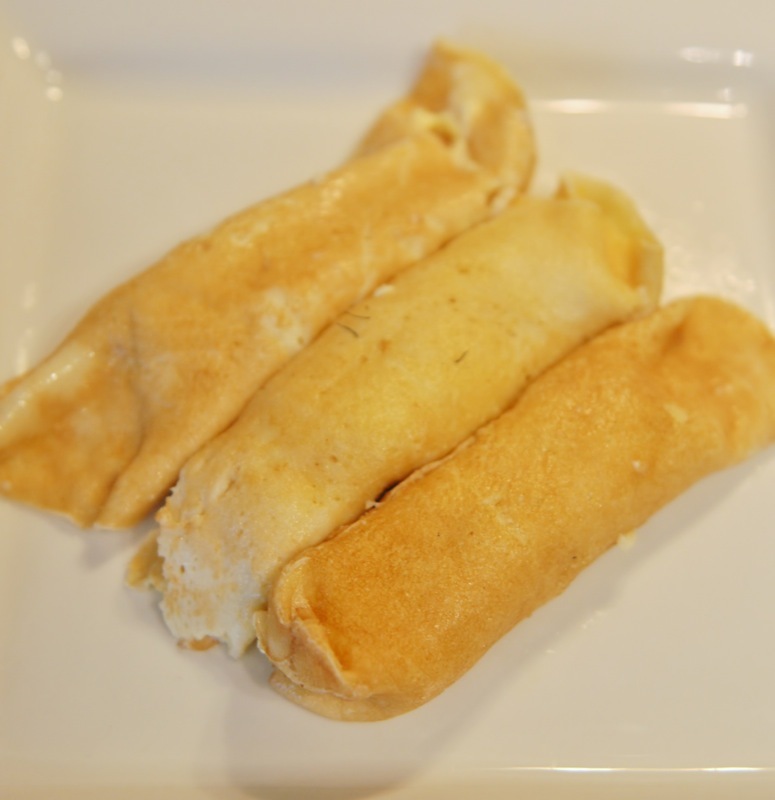 Heather’s beaver tails… well, she even includes a recipe! Lyndsay and I used to follow one another religiously when we first started blogging; then life happened. She is at The Kitchen Witch on Vancouver Island in Ladysmith, British Columbia. What an adventurer she is. 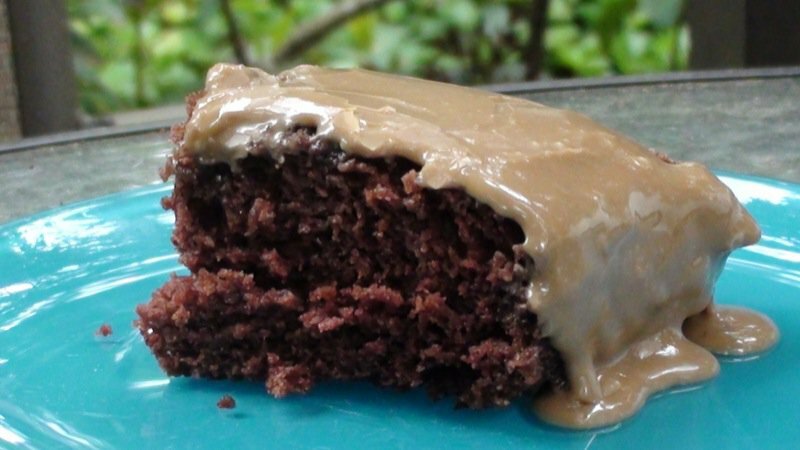 She has been a contestant on Recipes to Riches, competed in other well-known food recipe competitions, makes succinct, informative and lively videos for every recipe she shares, including this cake. This was another tie to Lindsay, for me. My mom is famous in our community for her chocolate cake with brown sugar icing. I have never met another person that made it, until now. Jen at Victorian Food from Victoria, British Columbia, presents us with a podcast on her first authentic Canadian food experience. If your “reading time” is restricted, she does take about 4 minutes and 26 seconds to get to the topic as she introduced the series first. You cannot comment on her post. I sent her my comments and that is how she has her site set up. 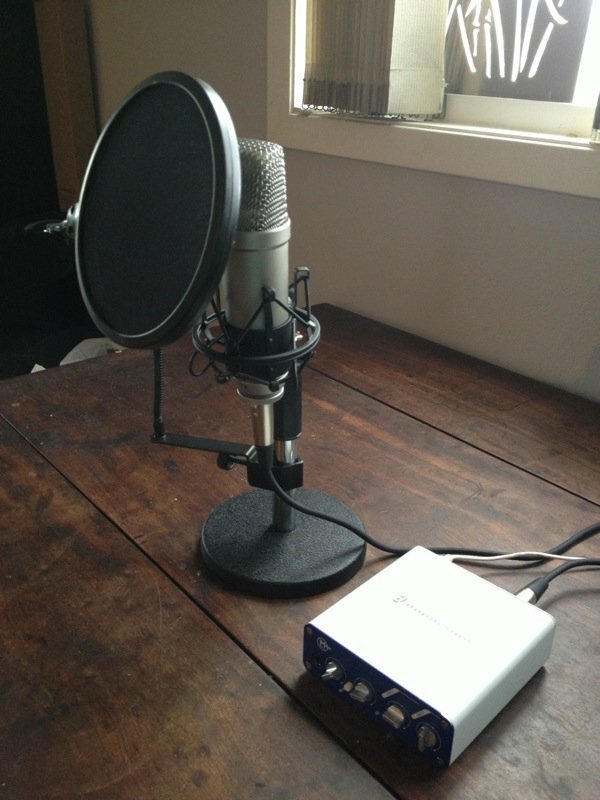 I didn’t realize, until now, that the podcast won’t let you go back or ahead. She talks about how travel has affected her notion about what Canadian food is. She is a Slow Food Member on Vancouver Island and plans to highlight information about foraged foods and highlight the Ark of Taste foods from her region. 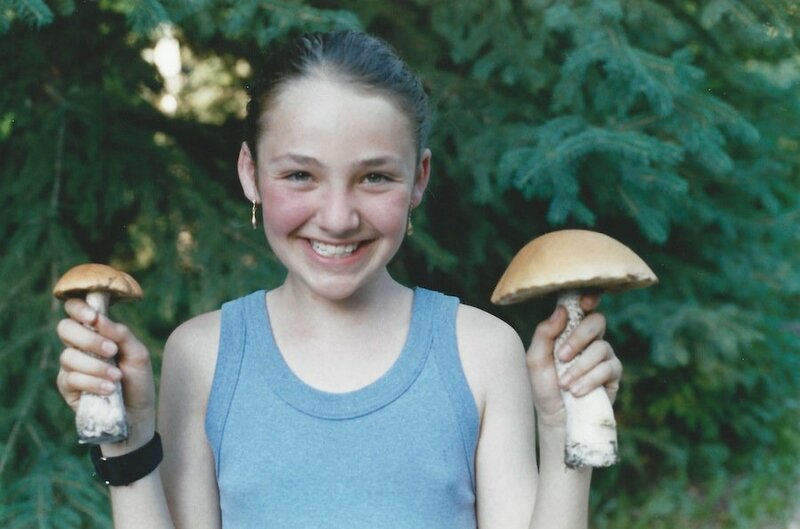 Genia at Sweetest Crumb from Edmonton, Alberta, writes about her childhood foraging and fishing adventures with her parents, new to Canada. Foraging and fishing are universal passions, but few delve into each and Genia is clearly influenced by that firm food focused foundation of her childhood that has led her through the many Canadian food experiences she will be sharing with us this year. Elizabeth at Elizabeth’s Gourmet Food Adventure from Edmonton, Alberta, offers no photo with her post this round, yet do stop by for her reflection upon her mother’s homemade white bread. I am coveting that recipe… yet to be posted. And looking forward to meeting Elizabeth, too! Cara at Words to Eat By from Toronto, Ontario, wrote about one of the most fundamental Canadian food experience in Eastern Canada: The Sugar Shack. As a Western Canadian, I longed to be a child from Quebec in the early Spring. The stories of tapping the trees and making Maple Syrup are in my blood and part of my Canadian identity though I had never been anywhere near maple syrup making, nor seen the process. Can you relate to that? I have now… and what senses were ignited reading Cara’s post! The nutritional information is a bonus. Cathy at Walsh Cooks from Edmonton, Alberta, has a sense of humor like no other. I never miss a post, as I always look forward to the unexpected giggle. She writes of Brownies and Bannock. Need I say more? Michelle Peters – Jones at The Tiffen Box from Edmonton, Alberta, is a busy young mom with a multitude of projects on the go. She was a quarter finalist twice on MasterChef UK, before moving to Canada. That takes courage and talent. 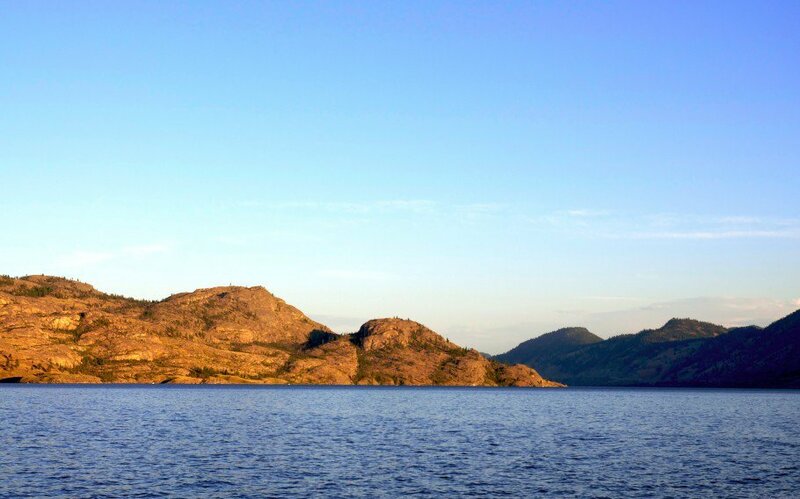 Moosehead and Caesars, Salt Cod and Tarte Au Sucre is the title of her post. I already have dibs on making the Tare Au Sucre with her. 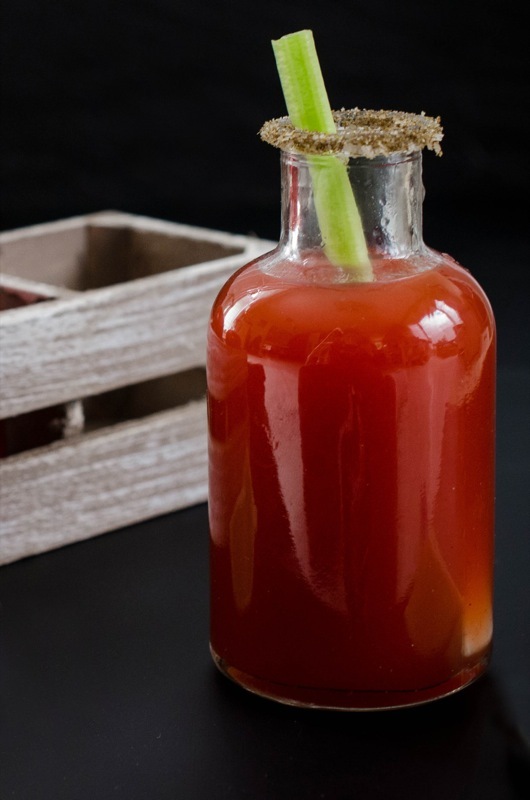 I guess I will have to supply the Caesars, too! Christina writes at Buffy and George (aptly names after her beloved dogs) in Waterloo, Ontario, and it was in living away from Canada that she was able to identify the foods from her home. Pancakes is what brought her home for that moment while living in Ireland while going to school. 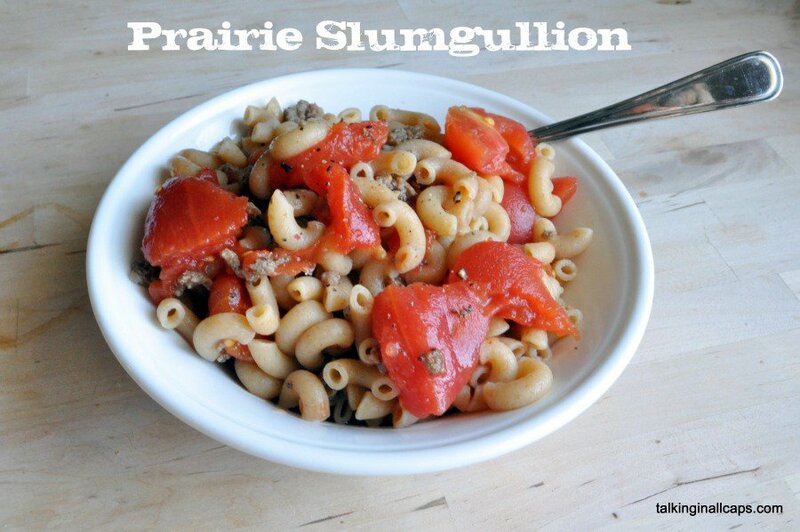 Dana from Calgary, Alberta, writes at Talking In All Caps about Slumgullion which is a humble home food that I have never heard called this, but ate often as a child. Anyone else had this? Andrea at Baking in Saskatoon has immigrated to Saskatoon, Saskatchewan, from Germany. She was the other gal waving at me when I stepped out of my plane at Pearson International in Toronto for the FBC2013 Conference. Andrea is a wealth of information when it comes to German food and cooking. I made her recipe for German Lentil Soup for Canadian Lentil Month. She writes about her struggle to identify Canadian food and to capture her first authentic Canadian food experience. 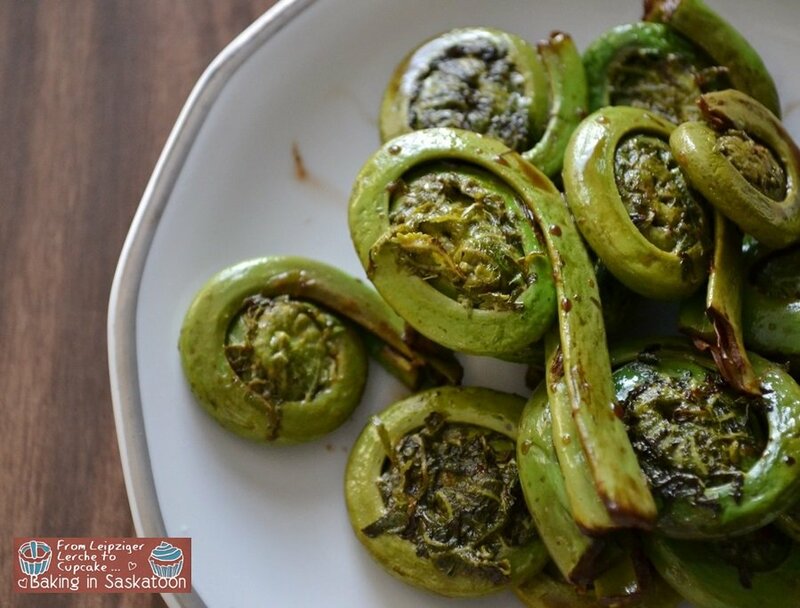 I was in my early 40’s before I knew fiddleheads were edible, and a staple Canadian ingredient in many parts of our country. We don’t have the climate for foraging for these in our forests, so they are a delicacy on the Canadian prairies. 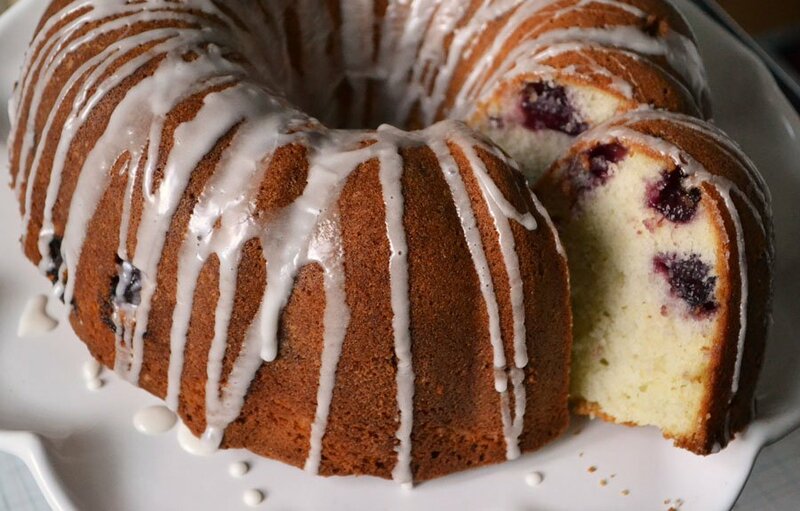 Joanne writes at the Cherry Bomb Kitchen from Renfrew, Ontario, and celebrates her local blueberry reminiscing about her Grandmother’s blueberry duff. Anyone have a family recipe for this? Her grandmother passed away before she got a copy and this must be a recipe that someone can share with us all. 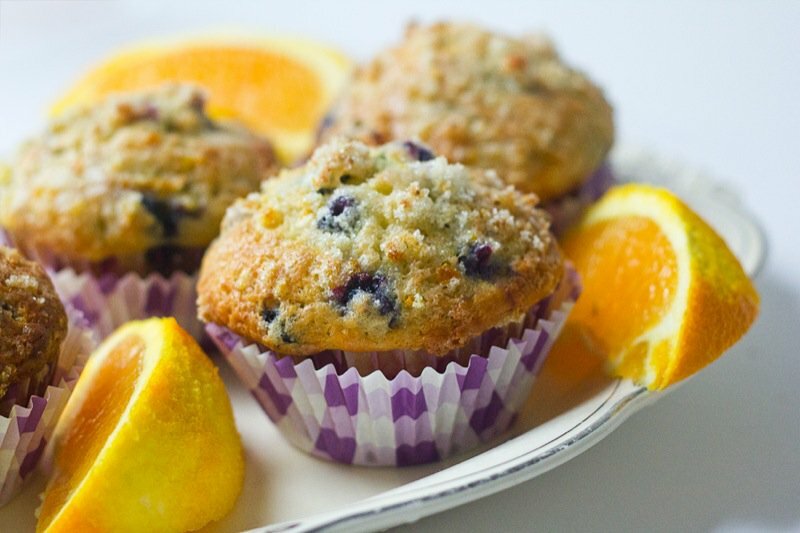 Instead, Joanne shares her favourite Blueberry Orange muffin recipe. 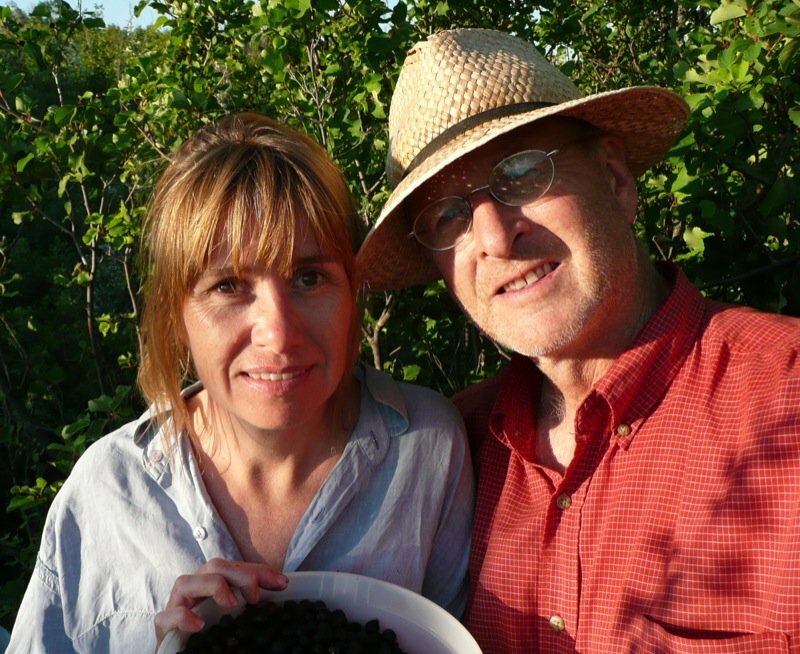 Deb writes about blue berry picking during her childhood living in Dartmouth, Nova Scotia at Sustainable Slow Stylish in Edmonton, Alberta. 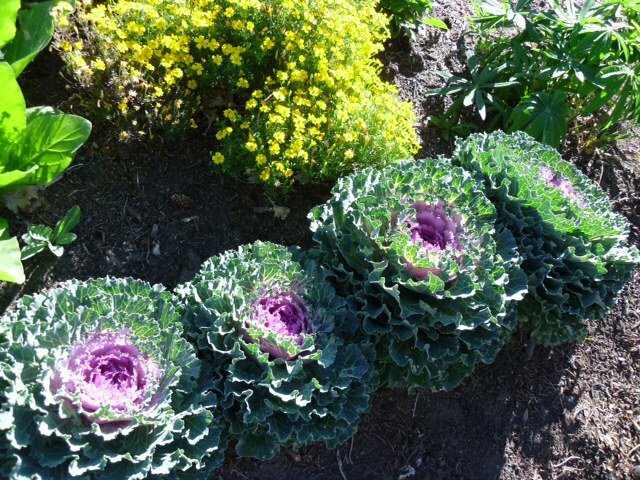 She is a staunch local food and slow sustainable living advocate. I have immensely enjoyed her dense, delicious, nutritious, and highly satisfying muffins and was delighted that she joined our project. Redawna lives and writes in Grand Prairie, Alberta, at Nutmeg Disrupted. She was a contestant in Recipes to Riches. I met her in the flesh at the FBC213 Conference and was pleased to see her write about an important part of our Northern Alberta food heritage: Canadian cuisine with Ukrainian roots. 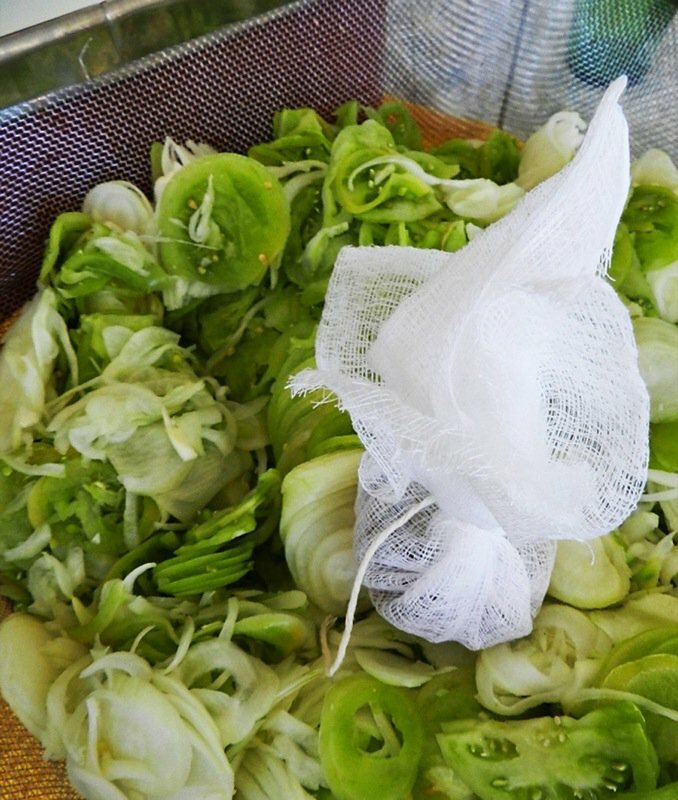 You won’t find a Northern Alberta country wedding without pyrogies or cabbage rolls. 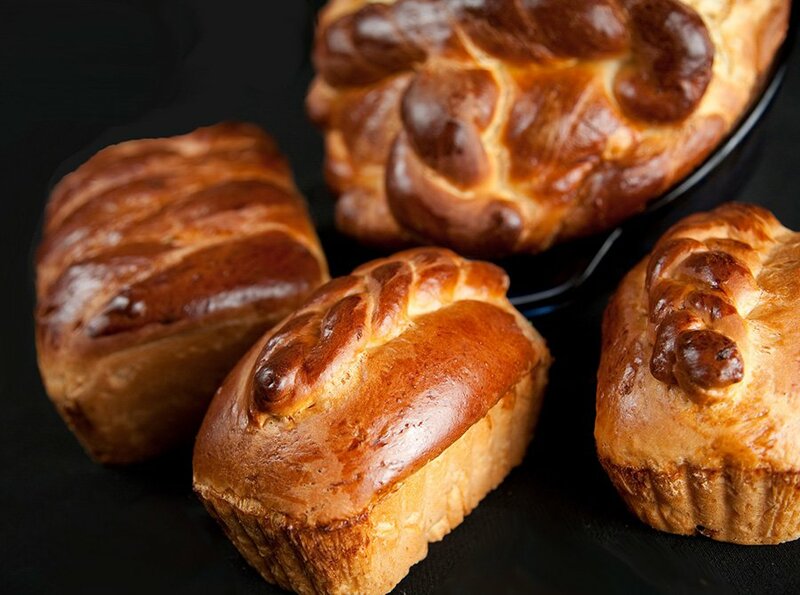 She shares her family’s coveted recipe for Nalysnyky. Hélène Péloquin writes at La Cuisine d’Hélène in Ottawa, Ontario. My first visit to her site a few years back found me leaving a comment that entered me in a contest for tea. I received a massive box of teas and everything imaginable. That was easy. I have been attached to her, since. Love her home food recipes the best and got to spend some nice time with her at FBC2013 where we had a lot of laughs. It is her daughter that has generously offered free translating for the initial project posts, tweets and badges to get our Canadian French speaking and writing cohorts involved in the project, and we now have several that will be chiming in next month, as a result. Yes, the contribution of one influences many. 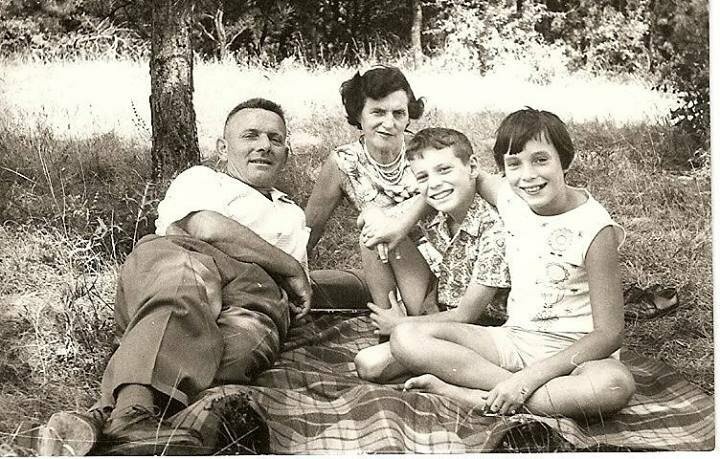 Hélène shares poignant stories and photos about growing up on the farm, and her family’s recipe for Sucre à la Crème, a famous Eastern Canadian homemade sweet which I was served by my gracious bed and breakfast hosts at the Vallée de la Battiscan. Unforgettable. I did not meet Maya, but I saw her at FBC2013 when she won a prize. She resides in Halifax, Nova Scotia, and writes at Maya’s Kitchen. What do the folks in Halifax have in abundance that the folks on the prairies do not? Seafood! 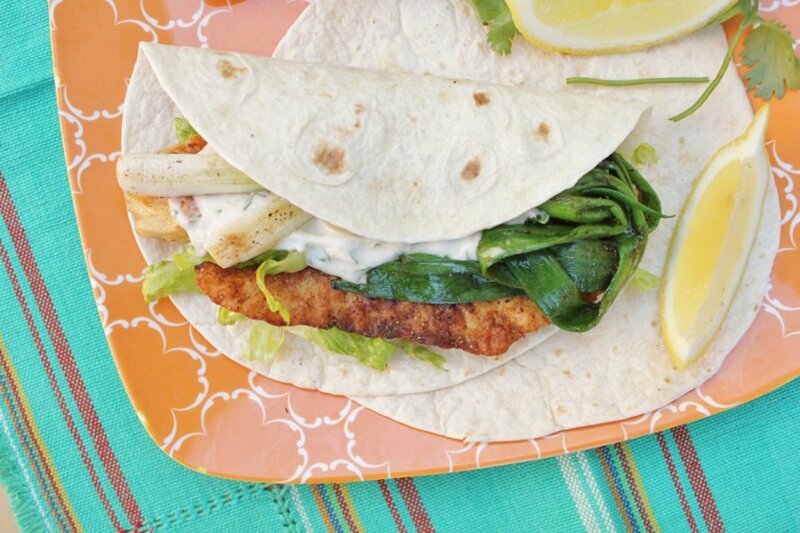 That is what May writes about: a healthy version of fish and chips. As a first generation Canadian, her story is enlightening. 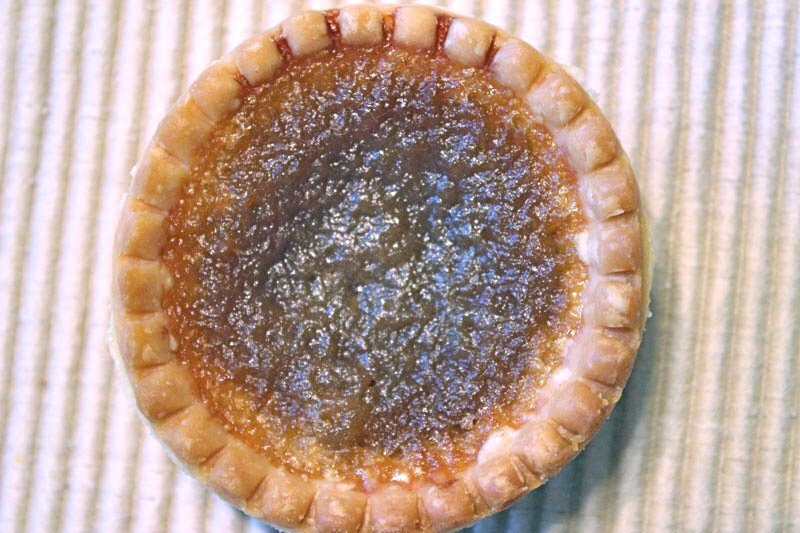 Sarah from Victoria, British Columbia, on Vancouver Island writes at Delish in a Dish and has shared her family recipe for the iconic Canadian Butter Tart. Liliana Tommasini at My Cookbook Addiction from Laval, Quebec, is a first generation Italian Canadian and was born and raised in Montreal. 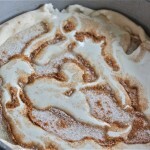 She writes about her annual childhood visits to the Gallant Sugar Shack as her first authentic Canadian food experience and shares the recipe for the Gallant Sugar Shack Maple Syrup Pie. I have never tasted this famous Canadian pie, and I will be making one to eat all by myself to celebrate the completion of Challenge One! Tiffany opened my eyes wider than I thought possible when I read her post about eating pig tails at Eating Niagara where she writes from St. Catharines, Ontario. 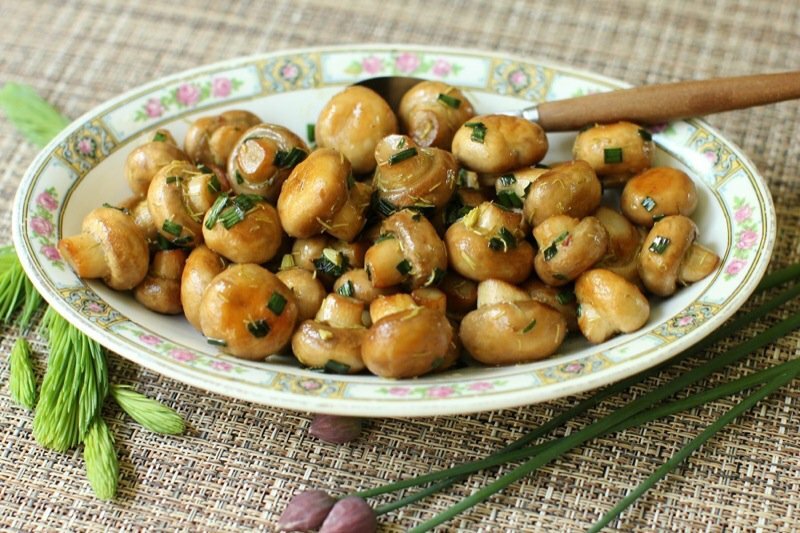 This is definitely a local regional dish that anyone living in the area knows about and loves. 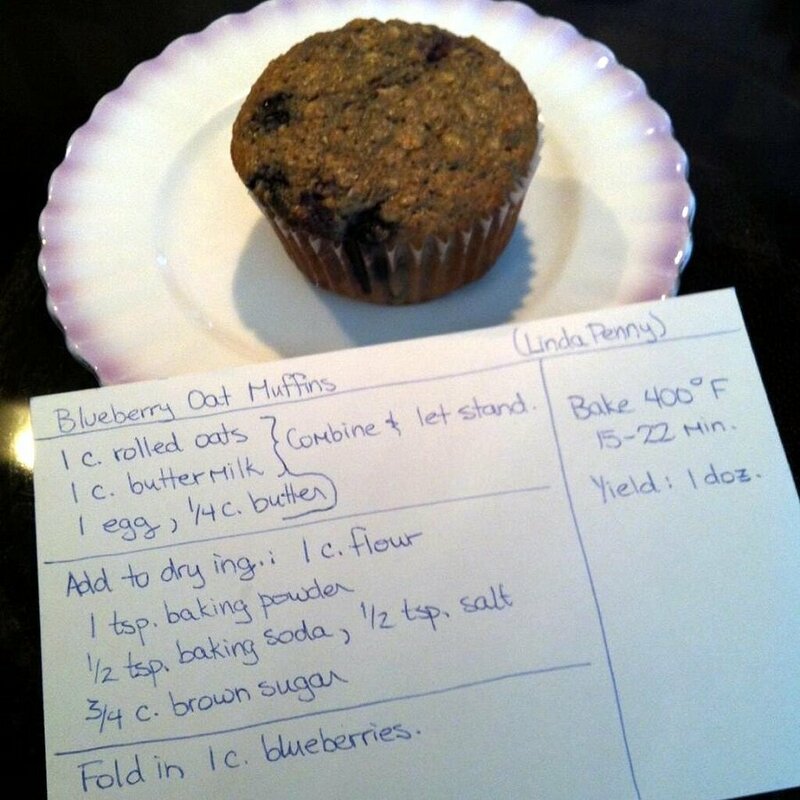 If you stopped by earlier, she has now included a recipe! I want to investigate the history of this dish in the area. Where can you buy it to eat it? Do they still sell the tails in bulk for one to make it at home. 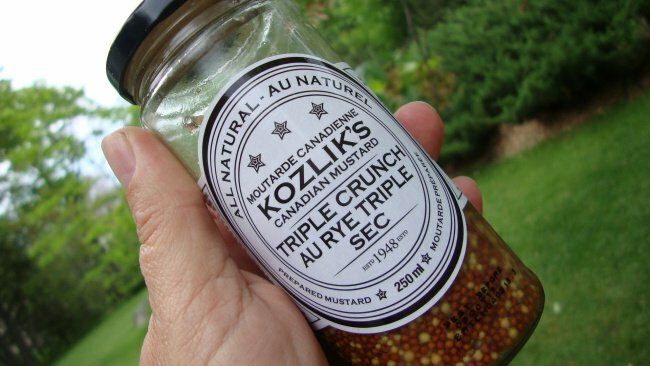 This may be another coup for Slow Food Canada’s Ark of Taste Project. This post is a must read. Rhonda at Olive and Ruby from Mississauga, Ontario, writes a compelling story about her long term relationship with salt cod: long before every moving to Canada where it was from. Her tale is an eye opener and the recipe looks scrumptious. Hugh decided to take the plunge and dive into our project from kaizenkruzel at Victoria, British Columbia half of the time, and Ontario the other half. His vast wine and culinary background make him the perfect participant for this project. 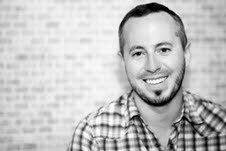 He shares some defining moments in Canadian Cuisine. Jan Scott at Family Bites from Toronto, Ontario, is currently co-authoring a new cookbook with Julie van Rosendaal. She also writes at The Huffington Post and is well known for her creative kid and adult party planning ideas. SavvyMom recently named Family Bites one of their top 75 influential Canadian mom blogs. Jan shares one of my mom’s all time favourite Spring garden treats: she eloquently titles it Radish Tartines. We refer to it as French Breakfast radish on buttered bread with salt. 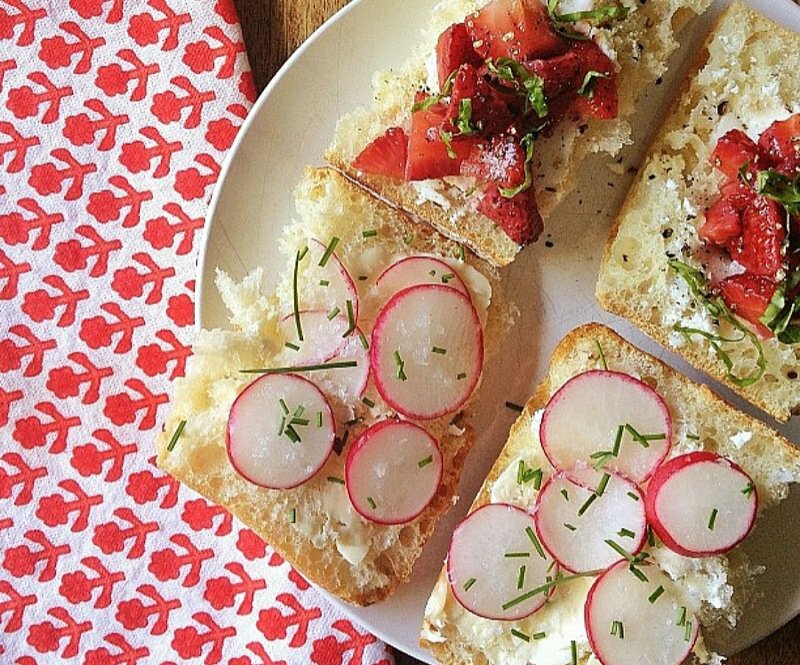 Look at her gorgeous Canadian Summer Tartines, below. Isabelle was another gal that I was hooked on the moment we met at FBC2013. She was very funny, intense, innovative and very interesting. 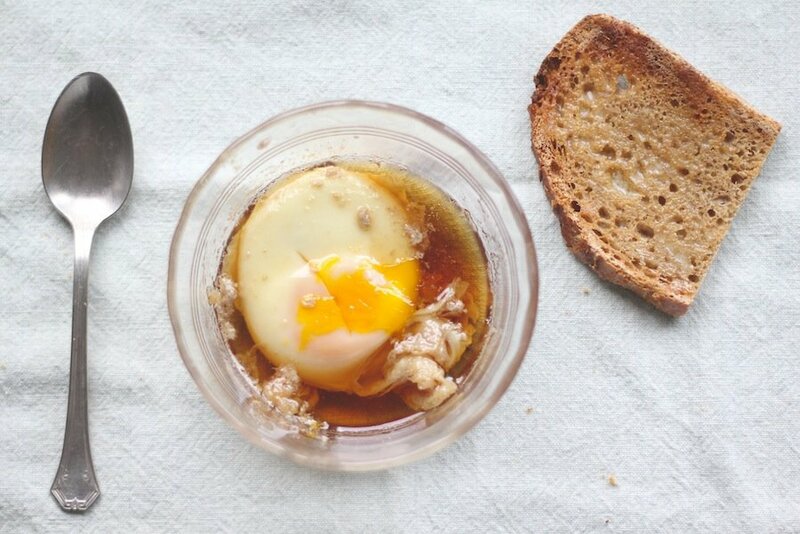 Love the design of her site, Crumb: A Food Blog where she writes from Toronto, Ontario. 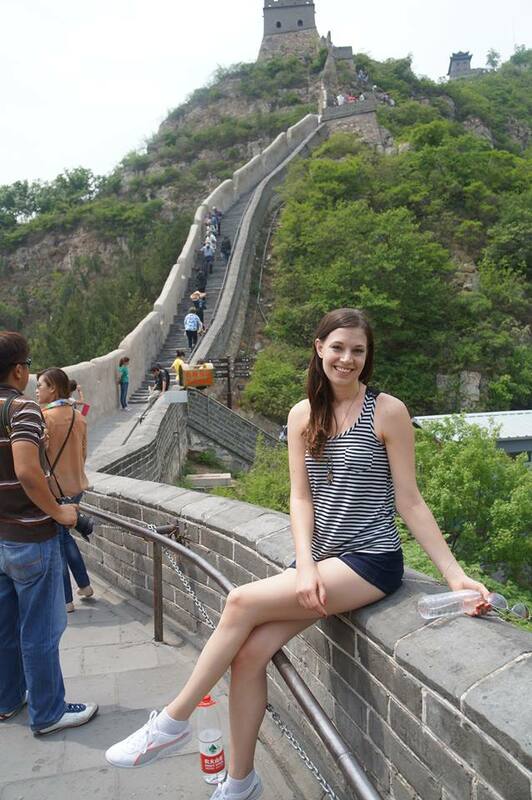 Currently, she is away, in Spain, on her honeymoon! 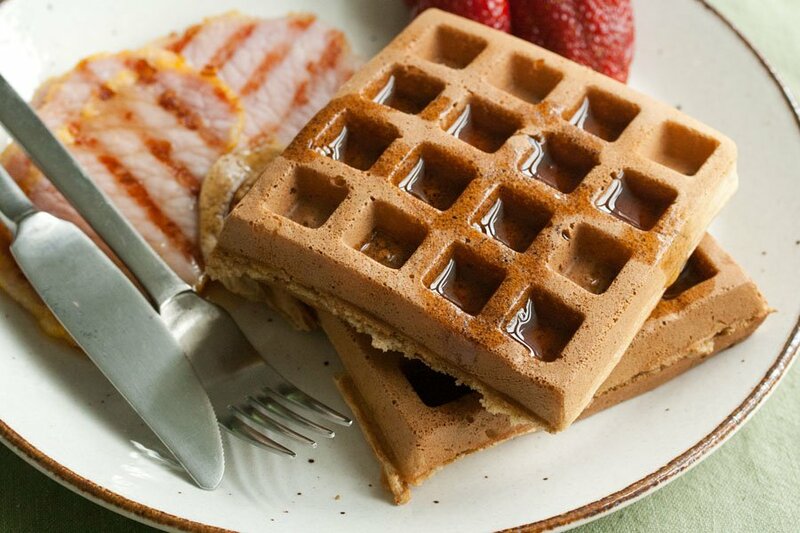 She reminisces about the Sugar Shack and shares her red fife wheat waffle recipe that she serves with maple syrup. Red Fife is a Canadian heritage wheat that is not as familiar to most Canadians as Maple Syrup. Isabelle writes with a quick wit which I enjoy immensely. Merry at MerryWithChildren from Calgary, Alberta, prepares us for these rainy Spring days with a recipe for the famous Canadian Caesar Cocktail. She is our only “non-Canadian” participant and provides a perspective of an American living in Canada for almost 10 years with her Canadian husband. Gisele Godbout from New Brunswick is our second French speaking and writing participant. Isabelle is our first, but will post next month. 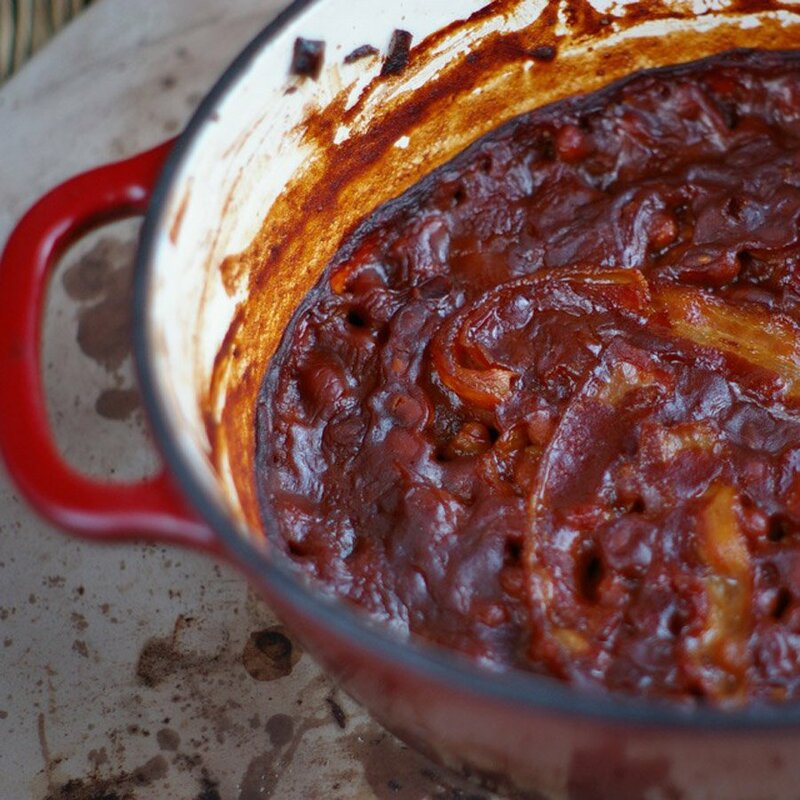 Gisele managed to post her first authentic Canadian food recipe out fast! At Dans Les Casseroles de GG she shares her Soupe aux pois traditionnelle or Traditional Pea Soup. She doesn’t share a personal story, or the history of the soup, but she shares her authentic recipe, so her post was easy for me to read as I can read recipes en français. 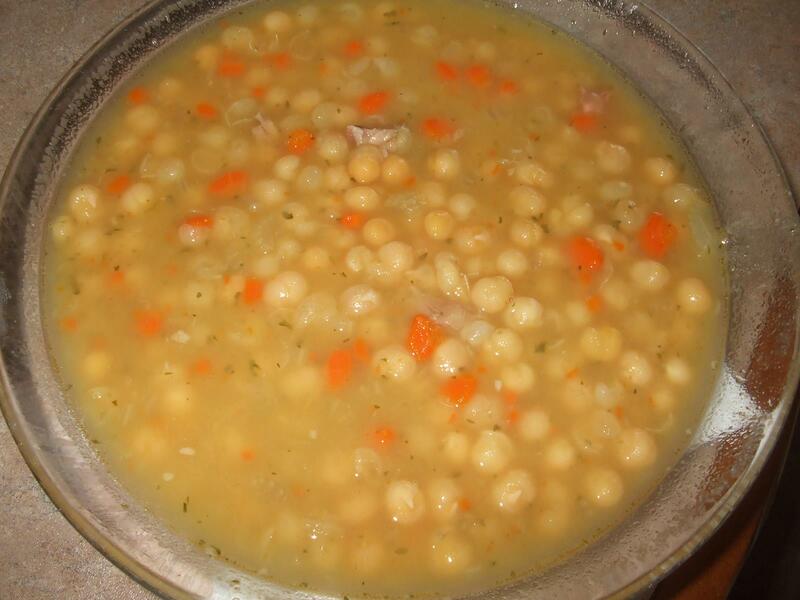 My mom made a similar soup, and we were provinces away, though the difference is significant: with a smoked ham hock. 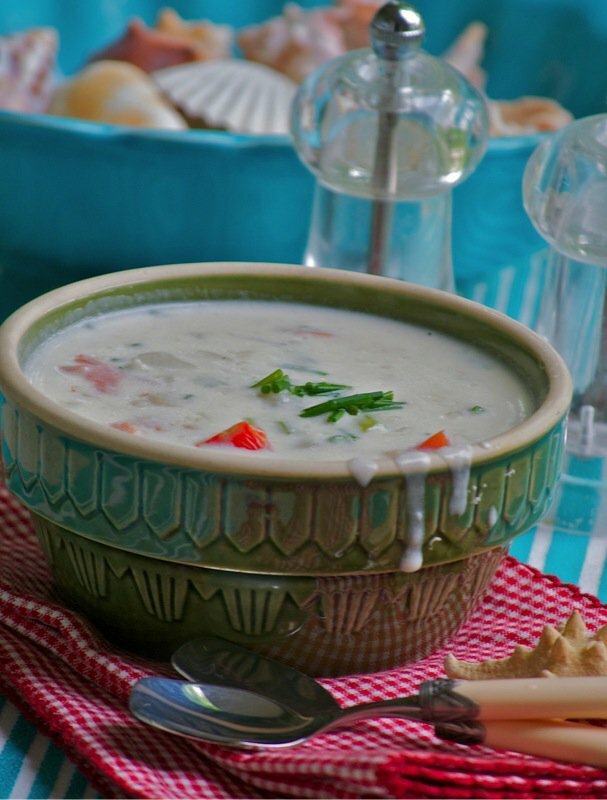 I must say that Gisele’s soup looks yummy and Marie from Celebration Generation recalls this traditional soup was always a highlight of the Festival Du Voyageur festivities every February. 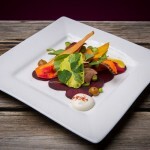 Margaret lives about 30 minutes away from Edmonton in Stony Plain, Alberta, and writes at Kitchen Frau. We must get together. A first generation Canadian from German parents “filled with knowledge of the many edible plants and foods to be found in the wild“, Margaret grew up foraging in the wild and has identified her mother as “deeply addicted to wild berry picking.” which I find hilarious and so understandable. How can you be there and not pick them all? Most exciting for me was that I learned that spruce tips are delicious and edible as Margaret shares a favourite seasonal foraged family recipe for mushrooms in butter with spruce tips. Who knew? Lesli from Calgary, Alberta, writes at True Sustenance and reminisces about her past growing up in Canada and her authentic food experiences. Dan at Dan’s Good Side from Calgary, Alberta, is a busy fellow. Hailing from Saskatoon, Saskatchewan, he “highlights the magic that is a seabuckthorn berry” by sharing his recipe for Seabuckthorn Berry and Shallot Vinaigrette. I have tasted ice cream made with these berries, but could not put my finger on the flavour. Have lived here all my life, and never these berries growing on a tree, or tasted one fresh. Did see them sold by the bag at our Local Italian Centre Shop, so know I can make Dan’s recipe. Dan is also famous around these parts for his Start from Scratch initiative aimed at “informing post-secondary students on the ease of preparing a quality, home-cooked meal.” The progam is now active in three locations and he is looking at expanding to Vancouver in the fall. I met the lovely Jennifer Schell very briefly at The Market of Taste event hosted by Slow Food Osooyos at the Slow Food Canada National Conference in April of this past year. 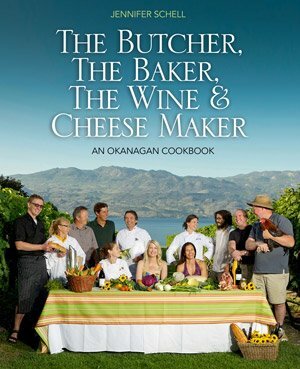 She was at one of the booths selling her hot-off-the-press cookbook: The Butcher, The Baker, The Wine & Cheese Maker. I bought it. She signed it. We chatted briefly about her speaking at the Okanagan Wine and Food Writers Workshop the following week, as I had attended the year prior. The word is out. 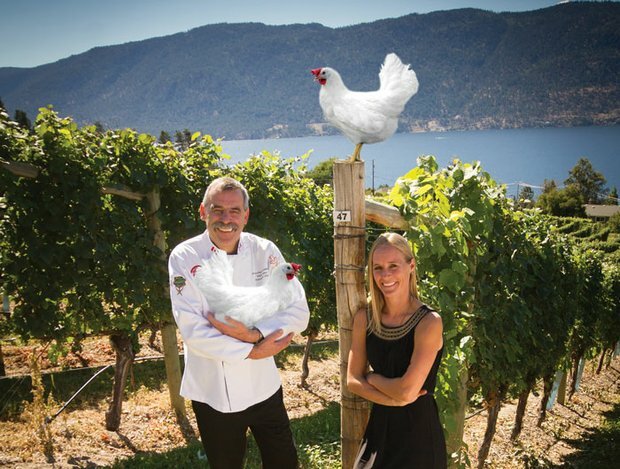 The Okanagan Valley is the Napa Valley of the North and Jennifer’s cookbook is timely. She writes from her site, An Okanagan Cookbook in Kelowna, British Columbia, and as a first generation Canadian from German decent, shares a poignant story of her farming family’s ability to provide everything for themselves from their own hand…and a recipe for her Oma’s Prune Kuchen. Prairie Chicken, Cornish Pastry and Hockey Night in Canada! Two out of three of Marilyn’s Canadian memories, I share. 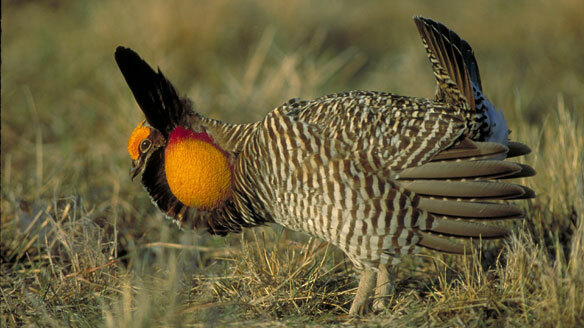 She really struck a nerve when mentioning the Prairie Chicken. What has happened to them? As I child, we spied flocks of them by the side of a country road. My dad teased that he was going to get out his 22 and we’d have chicken for supper! Of course, it was a common dinner for many, yet I do not recall eating it. I did not understand why it was called a “chicken” when it looked nothing like one to my inexperienced eye. They have disappeared from the Canadian prairies as quickly and quietly as our once magestic iconic grain elevators. Marilyn at Homespun from Calgary. Alberta captures a bit of unforgettable Canadiana in her story. Megan writes at In a Big, Magic Pot from Toronto, Ontario, and Paonia, Colorado. She and her 11 cousins spent the better part of every summer at her grandparent’s farm in Vaughan, Ontario. She recalls Blueberry season like I recall Saskatoon berry picking. Her description of the tiny wild picked berries “almost” trumps my description of the Saskatoon berry. 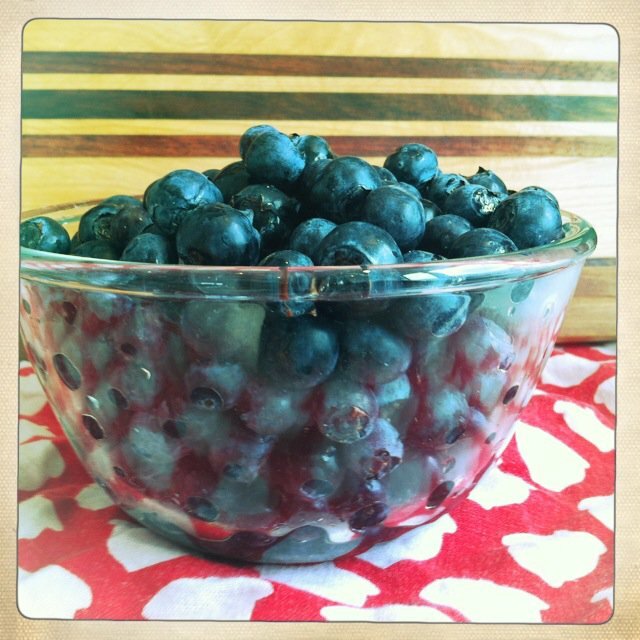 She reminisces about her Gramps’ Blueberry Pancakes and shares the recipe. Can you imagine even thinking about flipping pancakes for 12 hungry grandchildren? 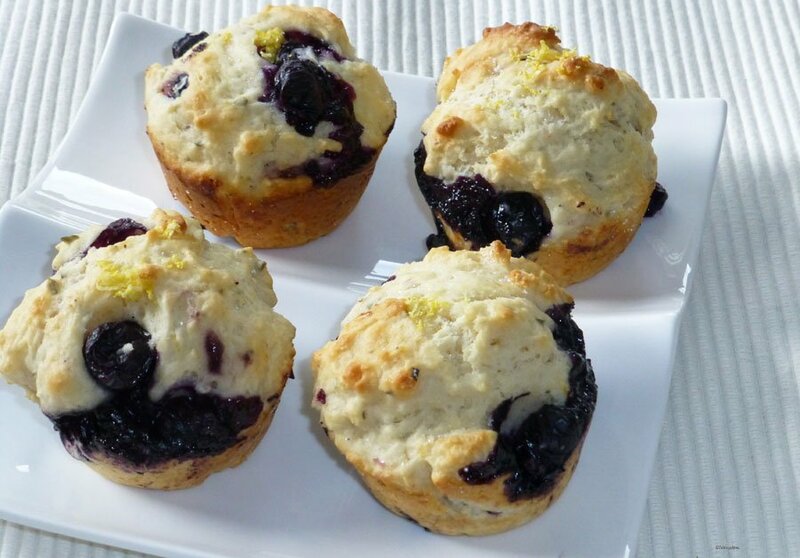 Deborah at in the stewpot from that happening place called Saskatoon, Saskatchewan, has provided us with her blue-berry muffin recipe with a “twist”. Marie at Celebration Generation from Winnipeg, Manitoba, currently living in Minnesota bakes beautiful bread. Wouldn’t you agree? It used to be that the right of passage for a young prairie gal was to bake a great loaf of white prairie bread. 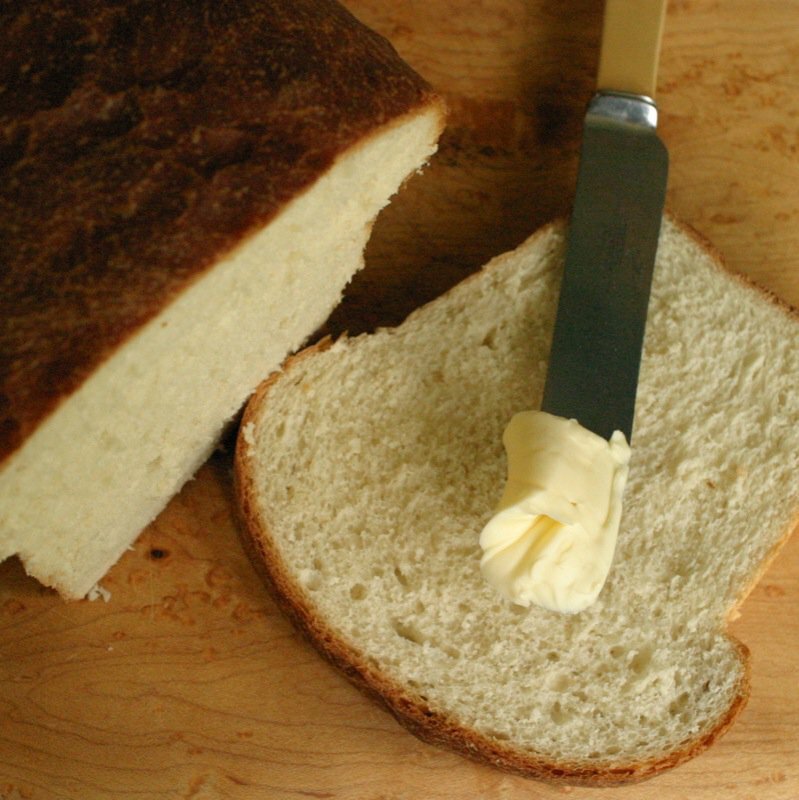 How many Canadians reading have never baked your own bread? Get thee to a bread baking class. 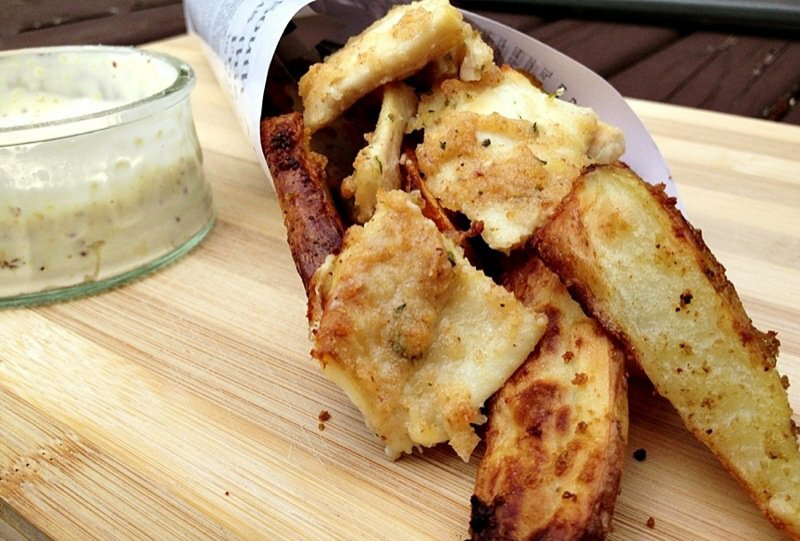 It is one of the most cathartic, ethereal, back-to-basics Canadian food experiences. Marie has experienced regional Canadian food in a variety of locales through her travels and it is clear her contributions to this project will be compelling. 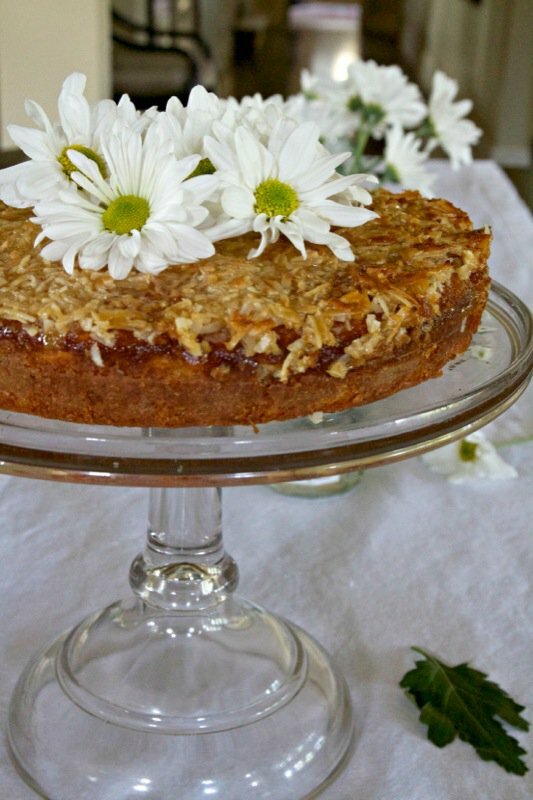 Barbara Bamber from Calgary, Alberta, writes at Just a Smidgen and has whipped up one of my dad’s favourite cakes that I haven’t had since my own childhood. Lazy Daizy Cake. Anyone else familiar with it? The icing was to-die-for, but I would pretend I didn’t like it at all so I could give mine to my dad who was crazy over it. Michelle Hooton at Bite by Michelle from Saint John, New Brunswick, shares her grandmother’s Chow recipe as her first authentic Canadian food experience. 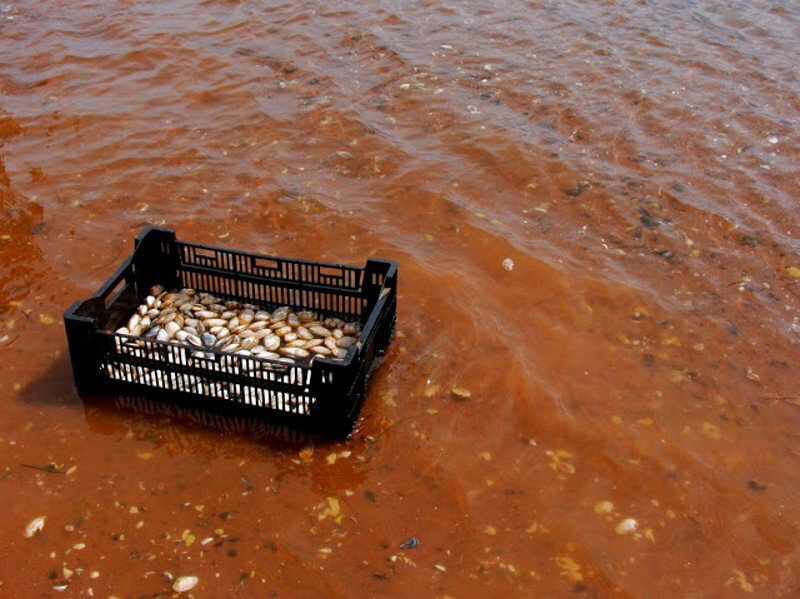 Melissa at The ‘burbs & the beers from the Durham Region, Ontario recalls learning to love seafood by foraging for it herself in Prince Edward Island. This is my kind of fantasy! Jessica at Jessica InsideOut from Ottawa, Ontario, has joined us late, but is catching up on the challenges and tells me that writing them has had a profound effect upon her. I can definitely relate as there is a thrill within me as I read these stories, compile the round up posts and get to know each participant better, one by one. For this first challenge, she reflected upon her European heritage and childhood food experiences, and their impact upon her as a Canadian woman. Dale at Eats Writes Shoots now makes Ottawa his home. However, Dale is originally from Kelowna, BC, which is the inspiration for this post. As he writes through the challenge, he grappled with the question “what is authentic Canadian foo?” and recalled what he describes as a “mishmash” of food influences on his notion of Canadian food identity. The “shore lunch” is the first authentic Canadian food experience that Dale shares. We have over 75 participants in the project to date. Some did not participate in the first post, but 58 did. If you are interested in participating, wonderful. I have opened a spreadsheet and will be cataloging the topics and recipe by region to see what evolves through the year. So many wonderful stories with so many perspectives on what first inspired each of us. Growing up in Southern Ontario I have many of these same experiences of tramping through the sugar bush, picking sun-warmed wild berries by the bucketful and the ethnic influences all around me. 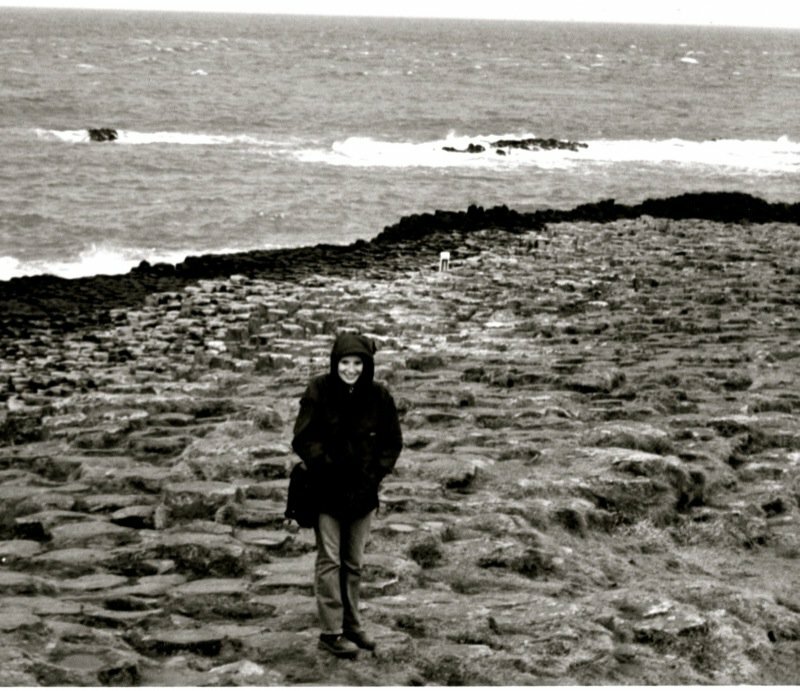 It wasn’t until I left home and my British roots at 19 to discover other provinces that I started to understand there was more. Each of these stories has taken me on a journey. I know you read every one of them, too, as I would often see your comment before mine, or when I was checking back. It is a time consuming quest, but what depth of understanding and knowledge I have acquired through this process. You, Lindsay and Redawna have pretty much cycled through all of the posts this round. If others have, they have not posted comments…and I hope they will make the time to read some via this round up. I am motivated beyond what I thought possible to now bake or cook or participate in each of these shared experiences. Great job, Val! What a collection. Just wait…we might be writing a cookbook by year’s end. With this challenge I see the common thread as simplicity in the recipes. They are all true peasant food. Such are our roots in this great country. What is old is new again. I can relate to so many of these foods. Also nice to have the input of new Canadians showcasing such things as the Caesar! 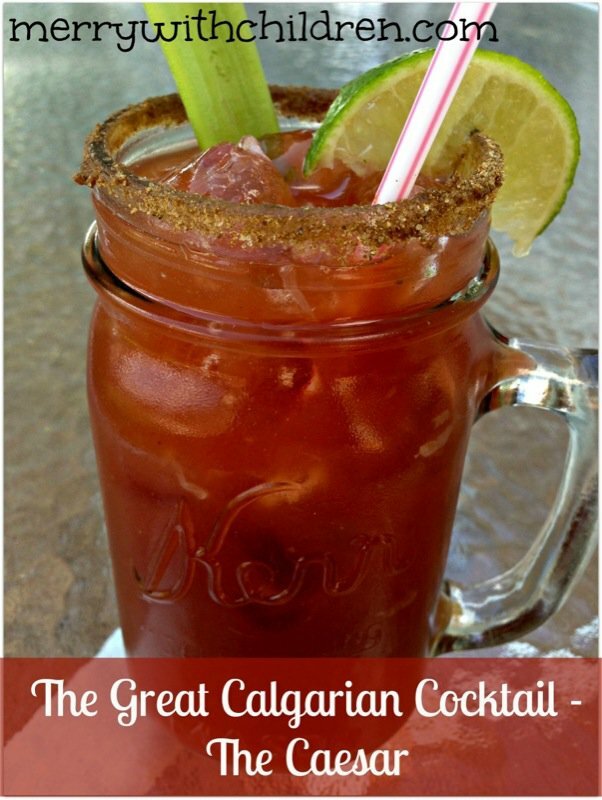 Yes, it was invented in Calgary. Interesting to see salt cod. My father complained about the salt cod rations during the war. 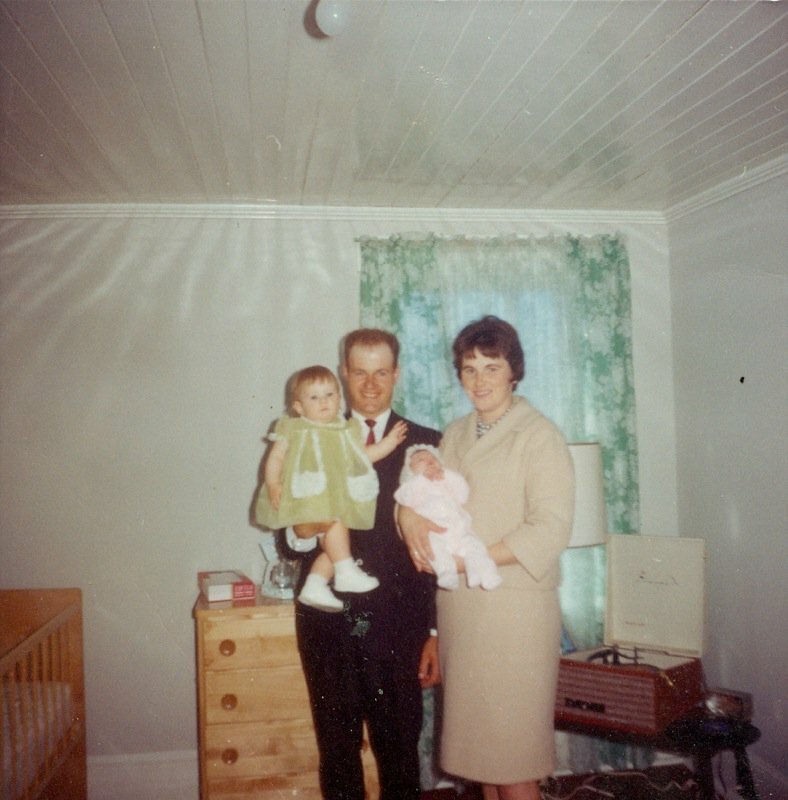 What would a prairie family do with salt cod back then? They had no idea it could be so tasty. He hated it. That macaroni hash thing was on our dinner table many times. I look forward to reading the blog postings. Definitely a common thread. 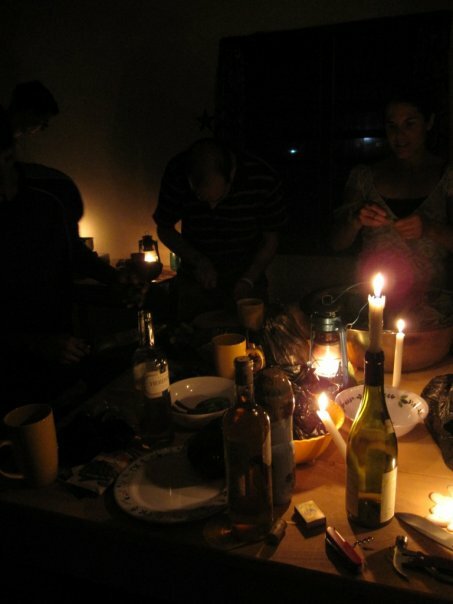 Peasant food it is… with multicultural influences and foraging from the land. True Canadiana is emerging only after one challenge. 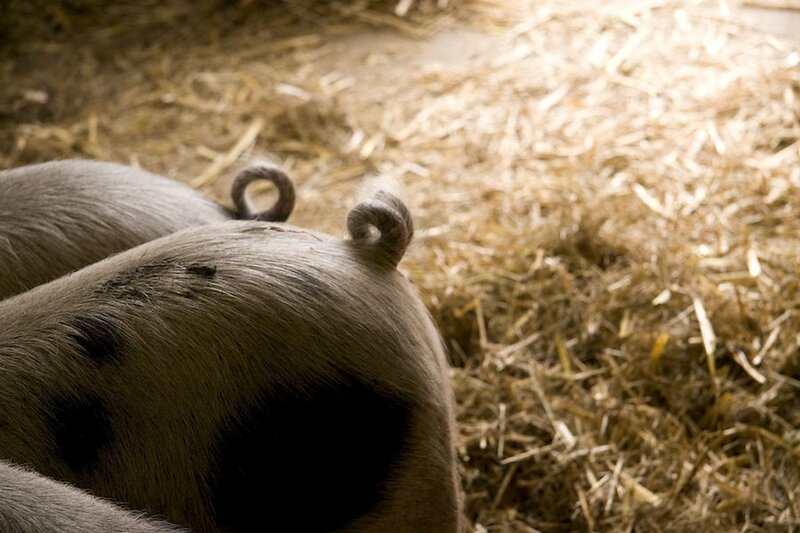 Had you heard of Pig’s Tails, or Rappie Pie? So much more than I thought lay hidden in the food traditions of our Canadian homes. So glad we are telling our stories at one time as it is easy to note what is regional and what is national. Wow, that’s n incredible line up. Looks like you guys are having a great time. Congratulations! It has definitely been an eye-opener this round. Well! This is certainly an impressive start. Valerie I may have voiced a few words but you made this movement happen! The credit for the initial success of the Canadian Food Experience Project all goes to you! We must all ‘stand on guard for thee’! You make me laugh, Dana! Thank you so much for this wonderful roundup. What a huge and varied cast of characters in this grand play you have directed. 🙂 I can’t wait to see where it all goes. I am so happy to be a part. I am happy you have joined the project, enjoyed your first post, and look forward to getting to know you better through this work we do together. What a terrific summary! So many stories….Thanks again for gathering so many bloggers in this fun (and oh so interesting) project. Great recap Valerie! It is so wonderful to see how many amazing food bloggers we have across the country. I look forward to all the posts and mouthwatering recipes that are to come. It is amazing, isn’t it, that others can be as like-minded and as passionate, in the same city, writing away – and we haven’t met them yet. I plan to change that up here! You will just have to do the same! So happy you have joined us! 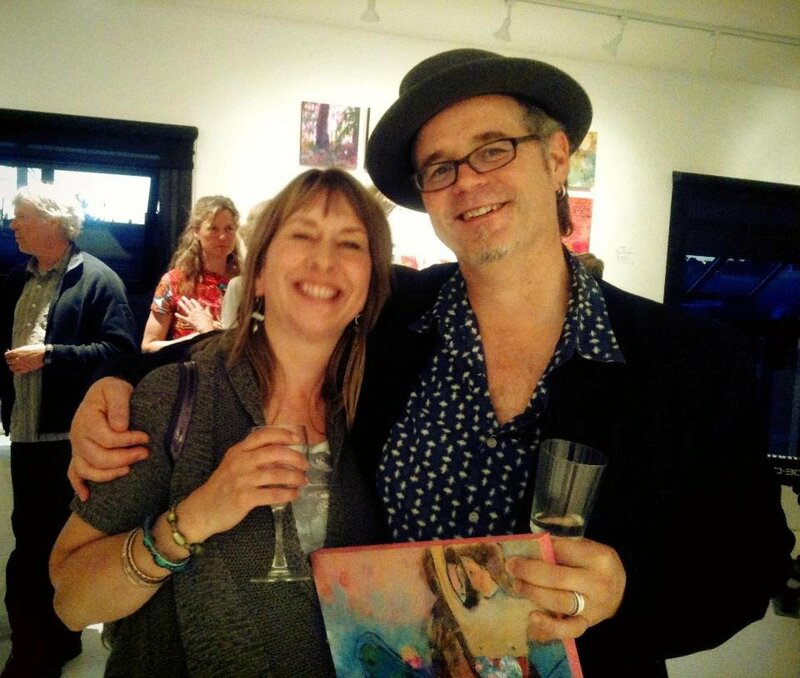 Dana McCauley is someone I look up to and really enjoyed meeting. I feel doubly grateful that our paths can continue to cross in this way. You had fallen off the blogging path? No one would have known! I am thankful for this project, too… as it has brought me to where I wanted to be (site name) with the company of so many. Who likes to bake alone? work alone? talk to themselves? It is so wonderful that so many have found this project as compelling as we do! So happy you are a part of it! Thanks for the round-up Valerie. Just got back from spending a week in beautiful British Columbia visiting friends. What a great opportunity to visit this wonderful country of ours. I am looking forward to reading all the wonderful stories that were shared for this wonderful Canadian Project. Really enjoyed your post, Liliana! Am looking forward to getting to know you better- and I WILL be making that pie! The connection is made! The bond is there… and we will meet weekly within one another’s writing, at the very least! What a great roundup! I just stumbled on your blog earlier today and I love this. I’m going to take my time and go through all of these, they look wonderful! Join us, Heidi, if you are a Canadian Food Blogger! Love all these great food stories from across the country. I may have to do saskatoon berries twice as next month is “regional Canadian foods”!! Well, there is certainly lots to do with Saskatoons, Amy Jo… but there are so many other regional foods people just don’t know about. I will probably do something with Evans Cherries as I have so many still, from last year, and my tree is loaded this year, too. The story of the tree is a great story, too. Yet, High Bush Cranberries would have been my first pick if I had any left… there will be other seasonal opportunities to write about regional foods. I have barley on the brain, red fife wheat, slow cooked oats and porridge for breakfast… I hope someone writes about Red River Cereal. I ate that often, too. Cream of Wheat was my favourite. Thank you for stopping by and commenting. I am so surprised that more participants are not doing that… here, or on one another’s posts. Hopefully, that will evolve.